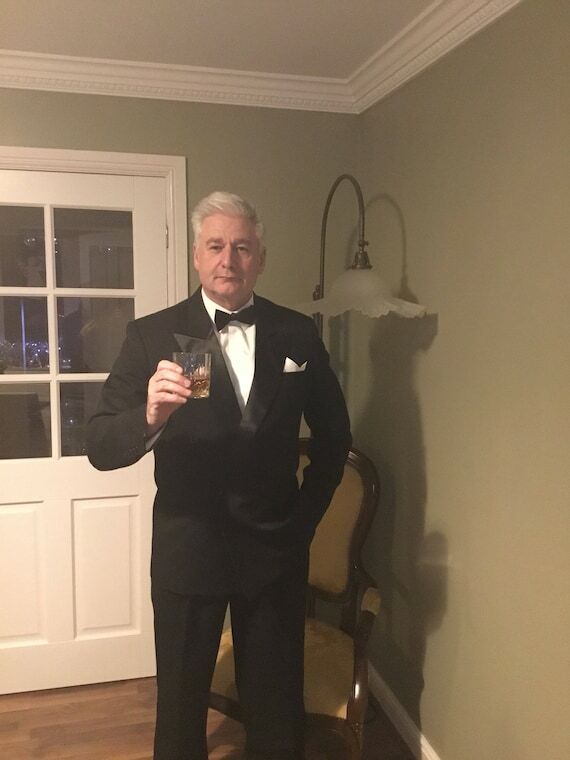 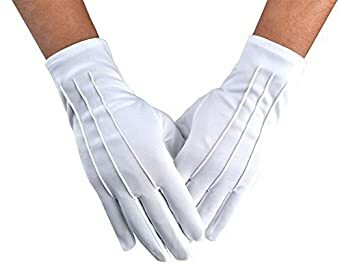 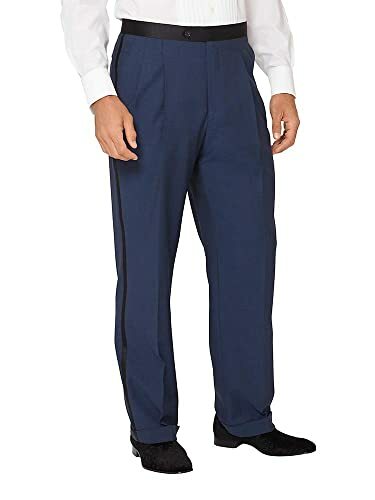 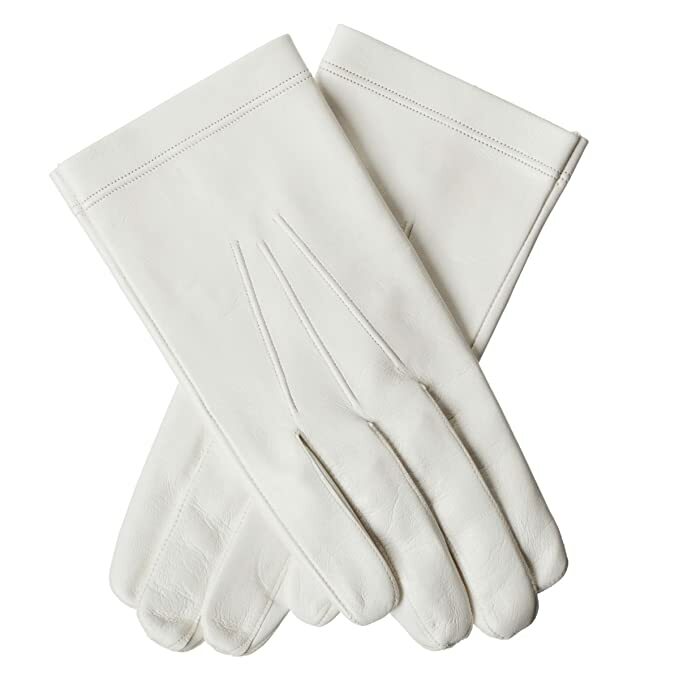 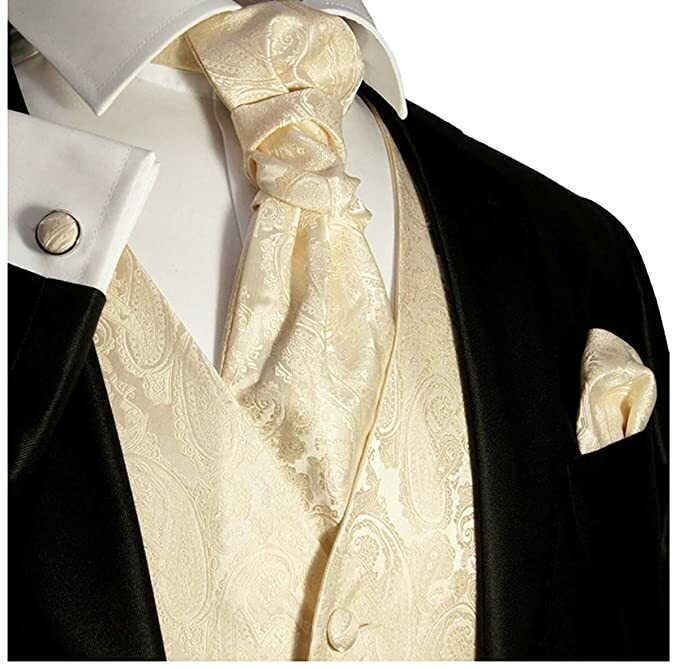 Attending a formal vintage themed event such as a wedding or ball means turning back time to when men owned and wore formalwear on a regular basis. 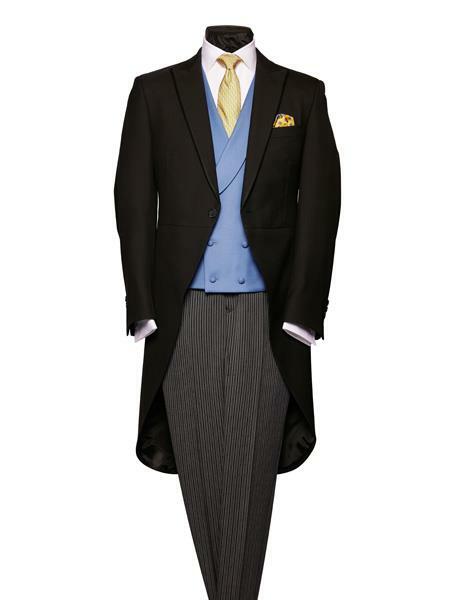 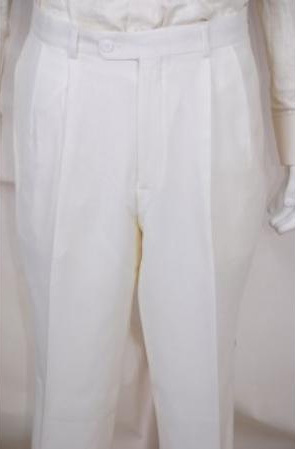 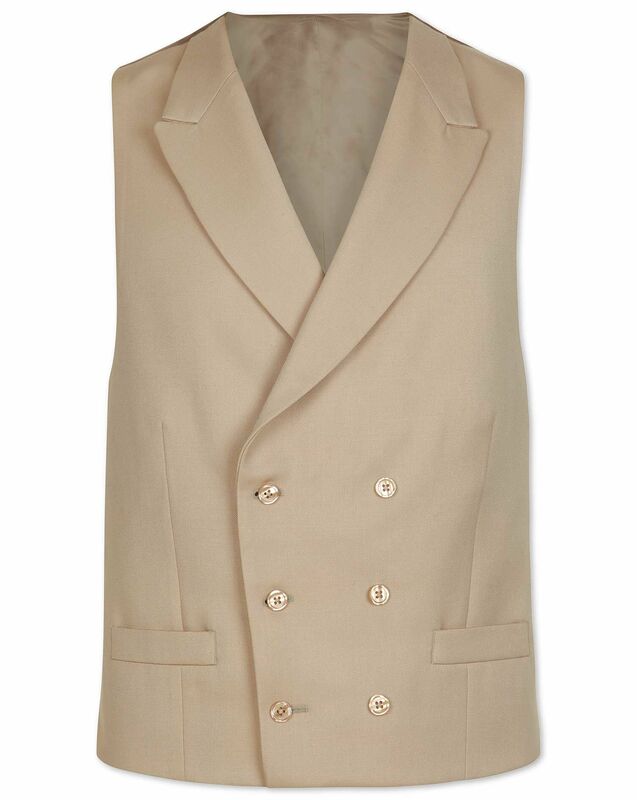 The vintage tailcoat jacket or morning suit was a day and nighttime look up to the 1930s. 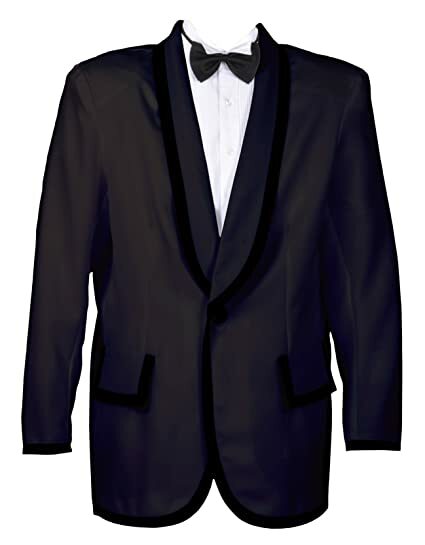 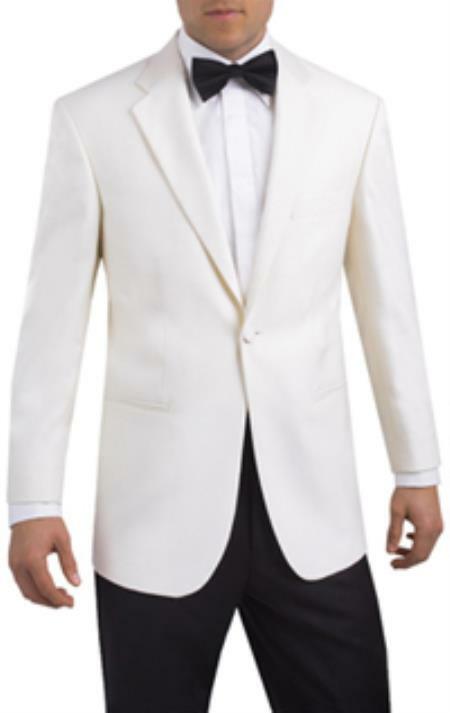 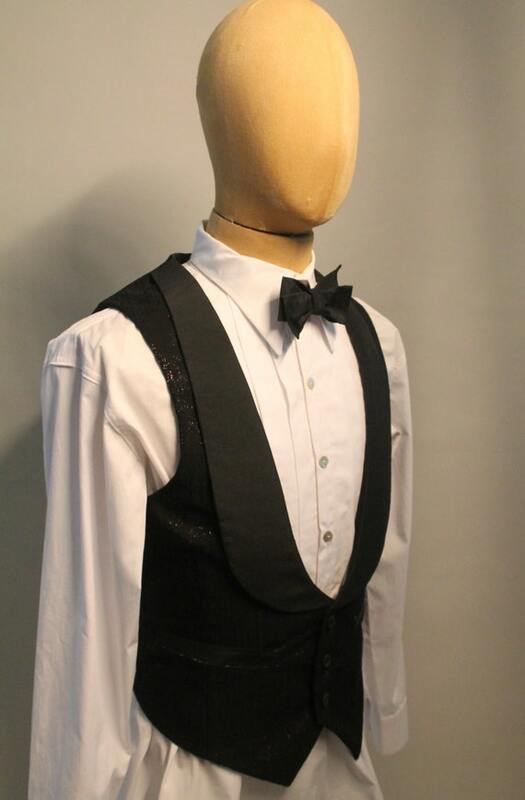 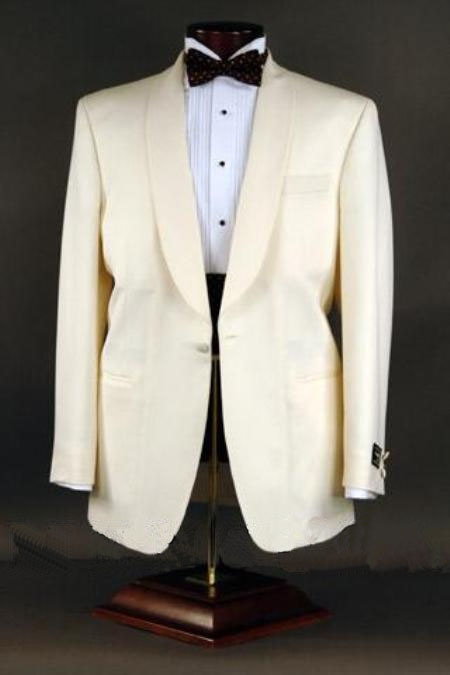 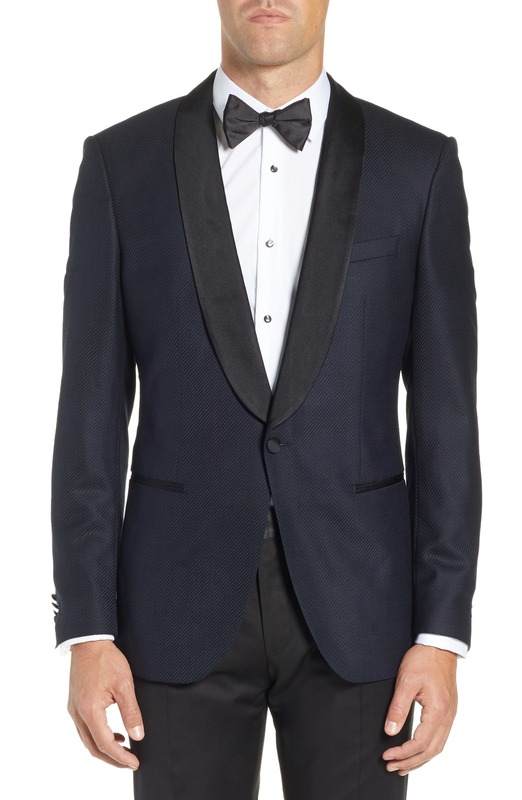 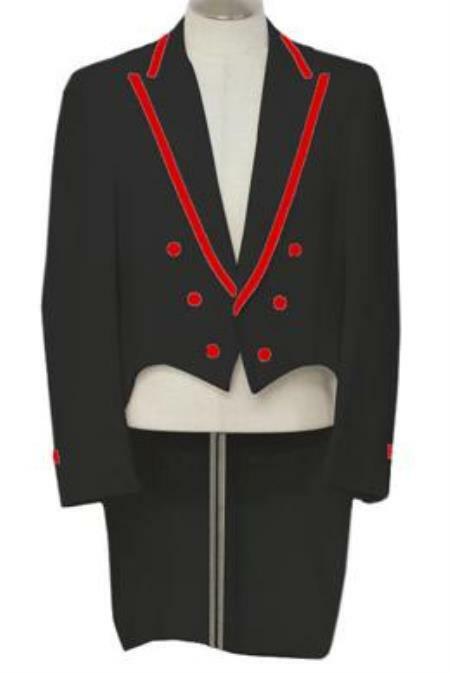 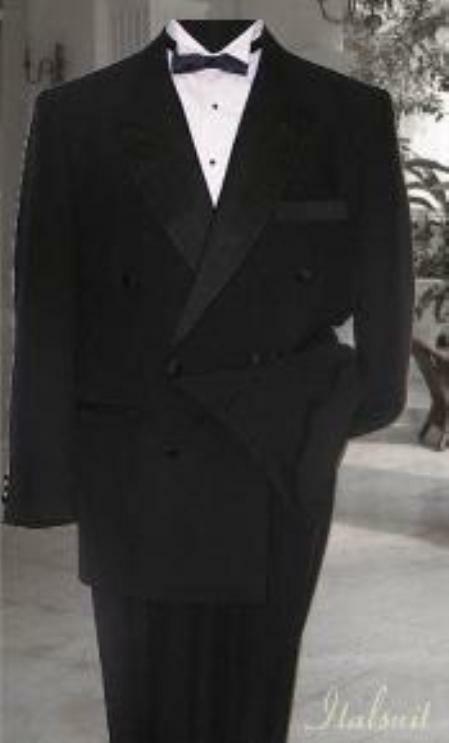 In the 1920s the trend for more relaxed fashion made the vintage dinner jacket acceptable evening attire. 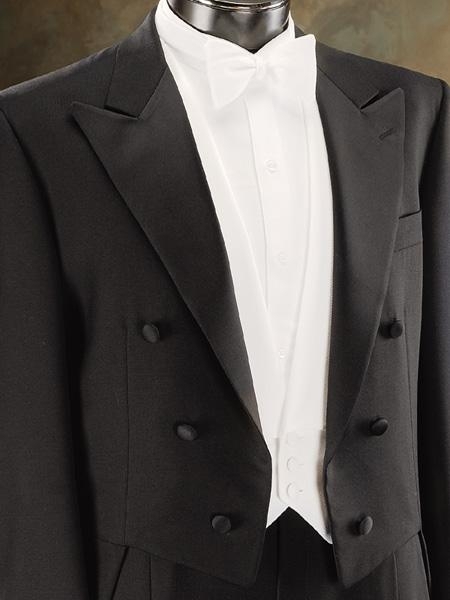 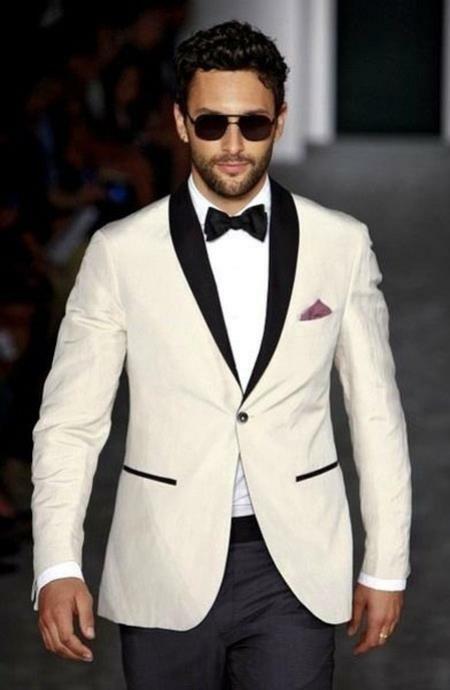 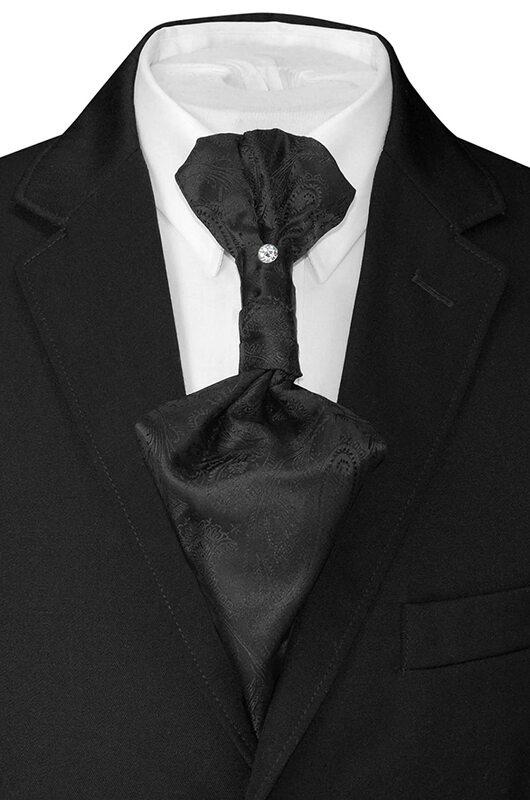 This, in turn, created the tuxedo suit as we know it today although with variations over the decades such as double-breasted, shawl lapels, peak lapels, two-tone jackets and all white tuxedo jackets. 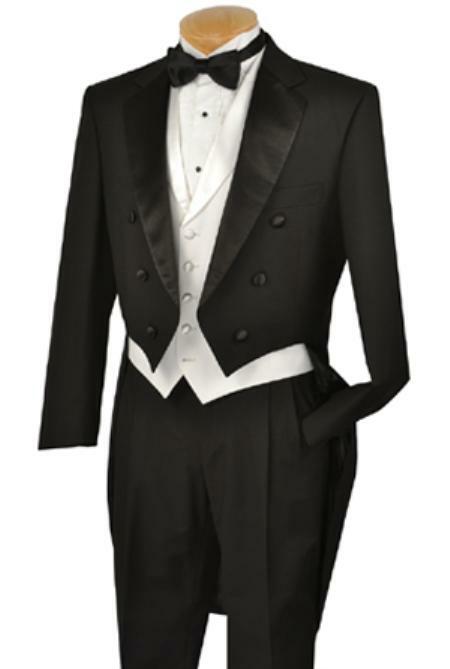 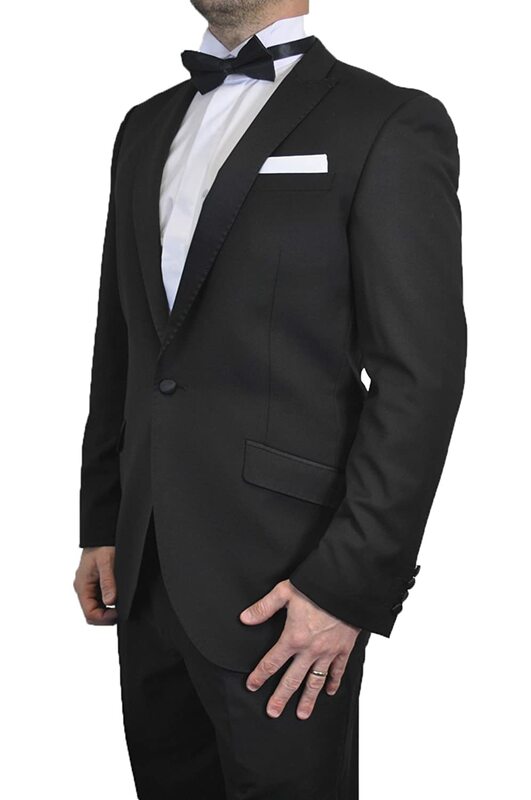 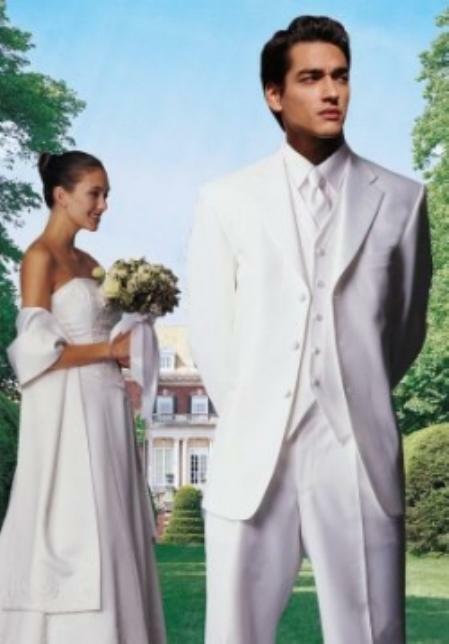 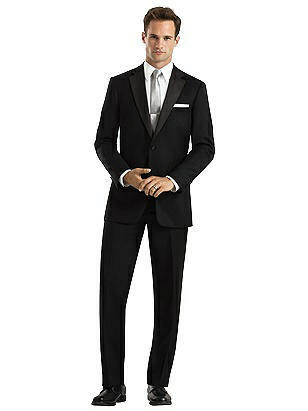 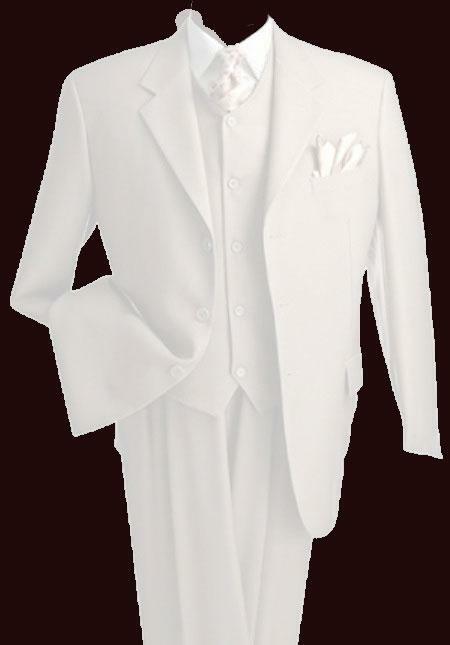 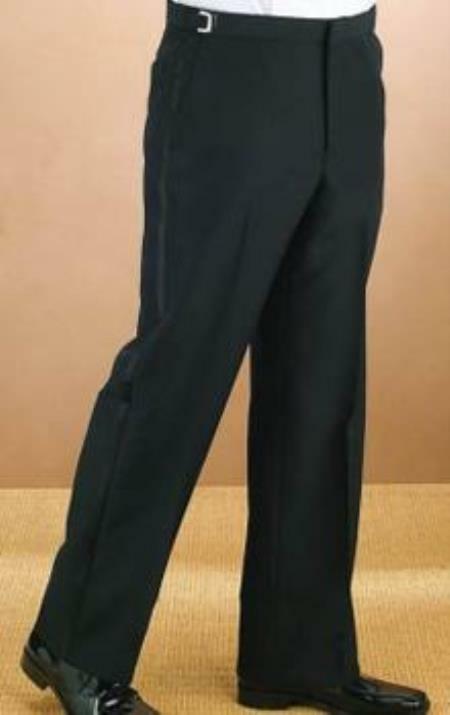 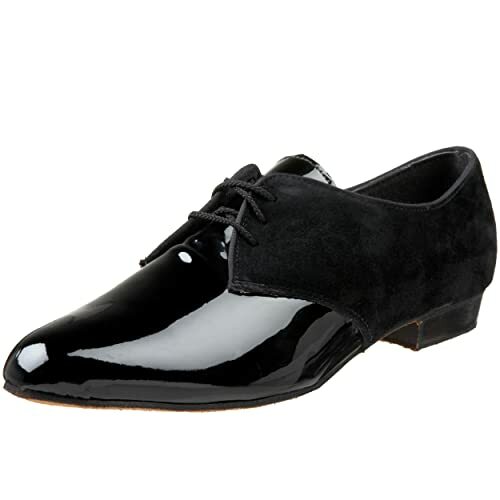 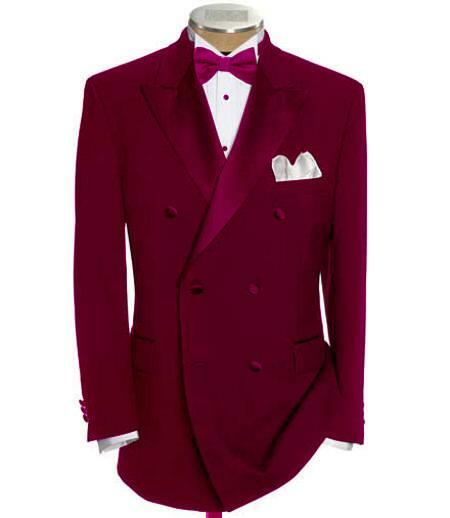 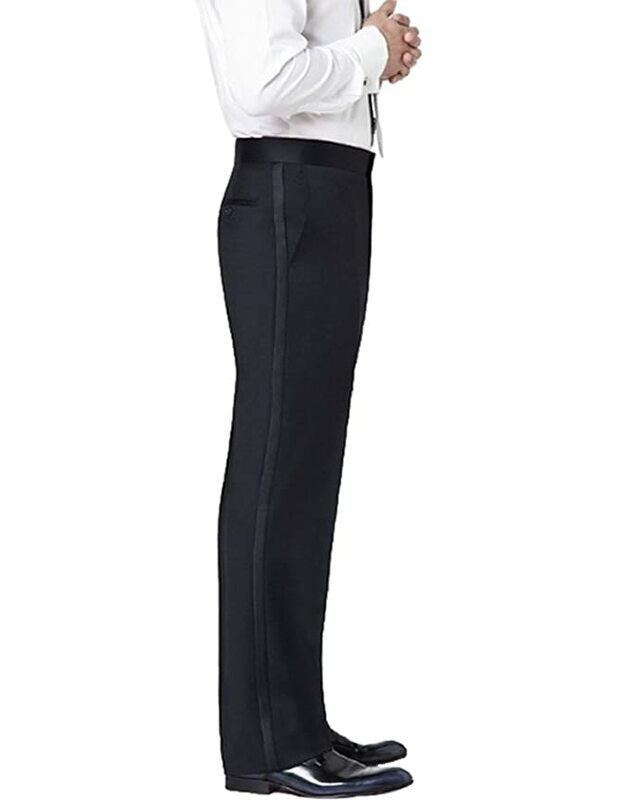 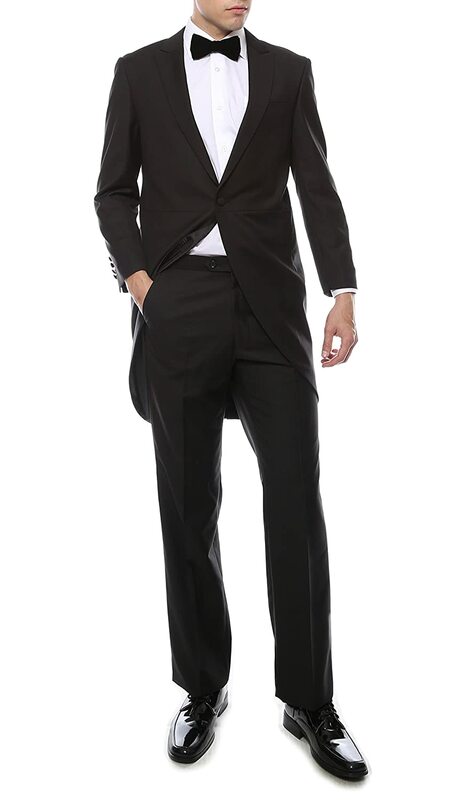 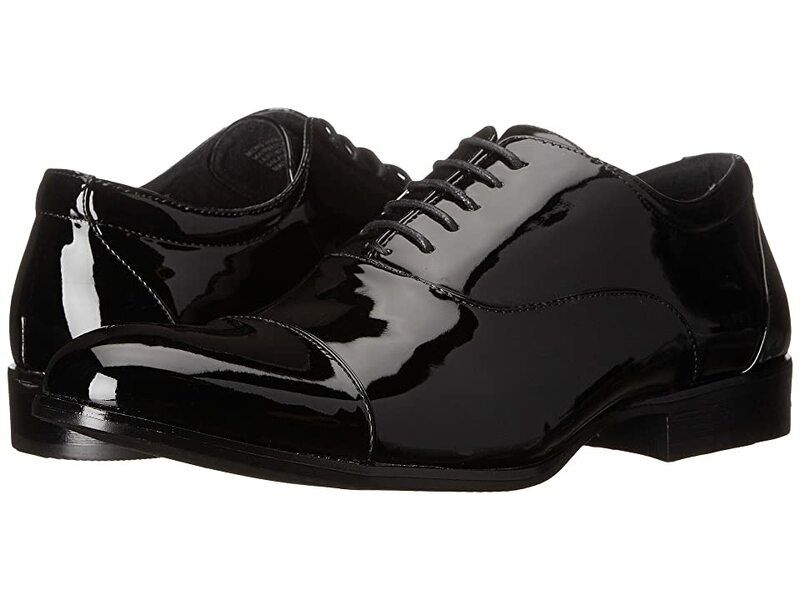 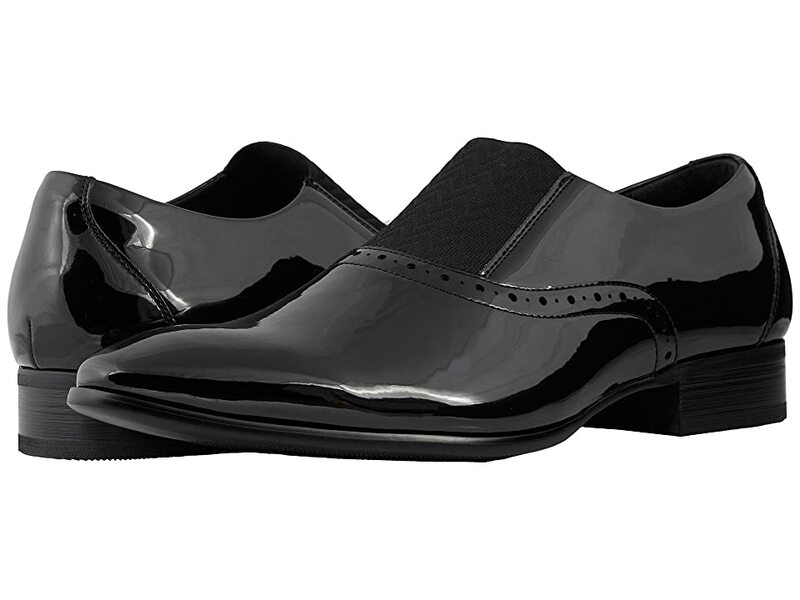 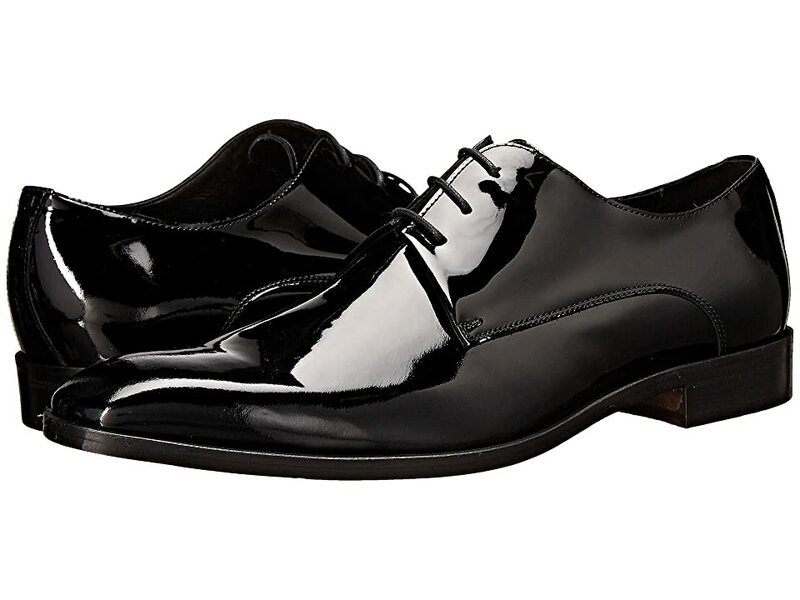 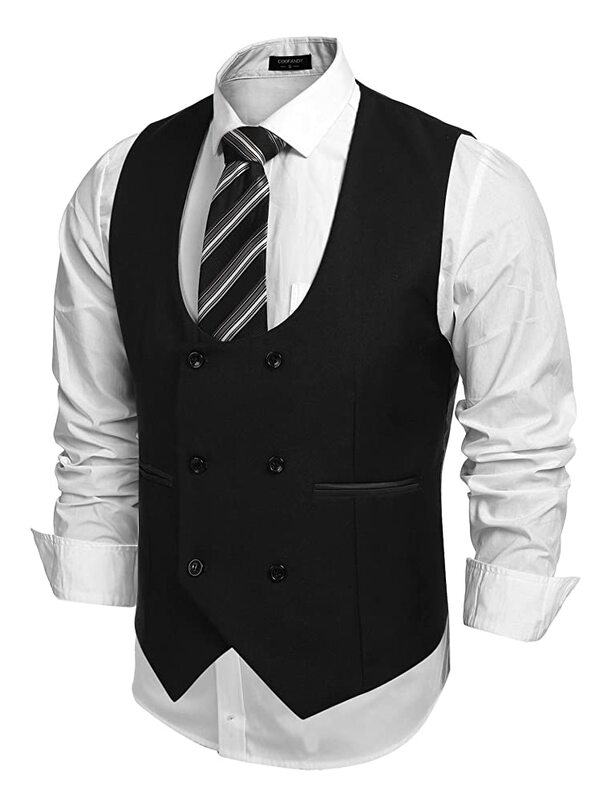 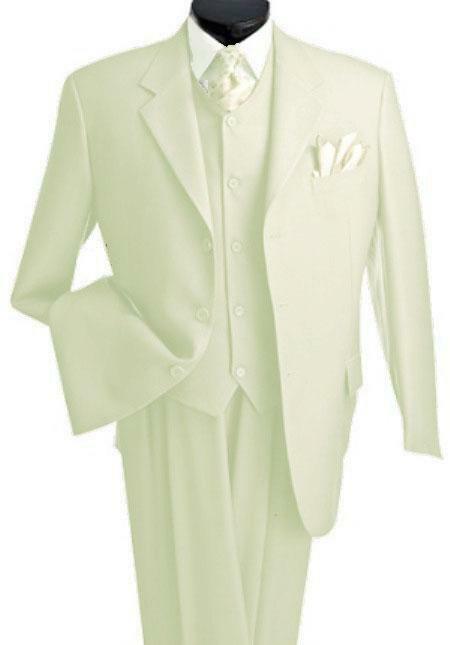 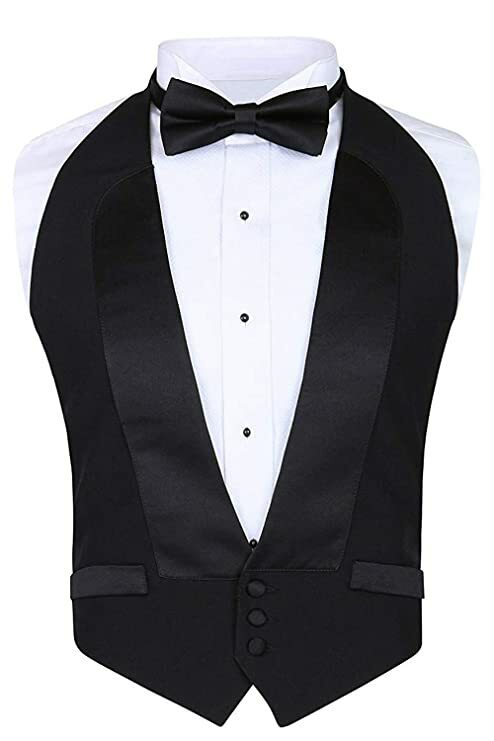 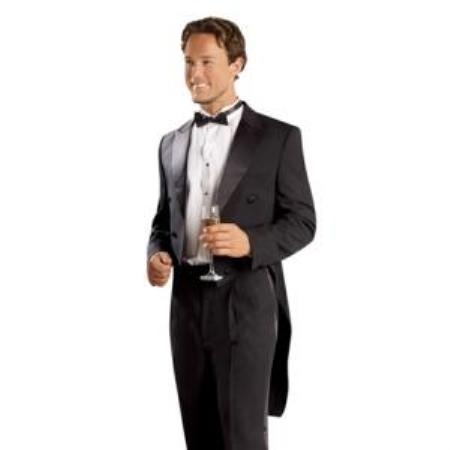 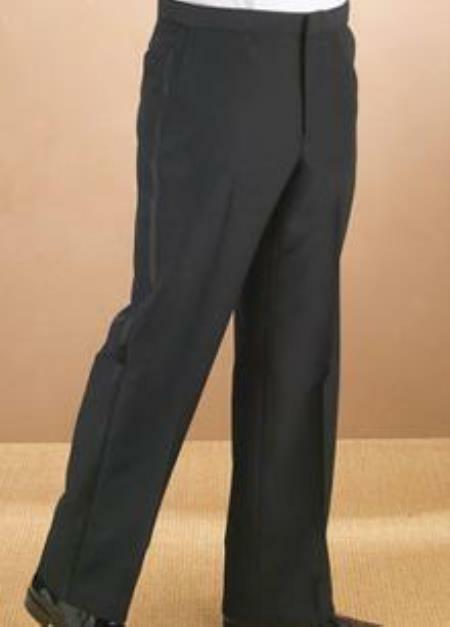 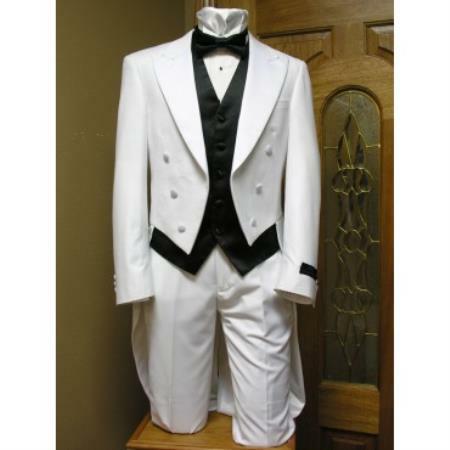 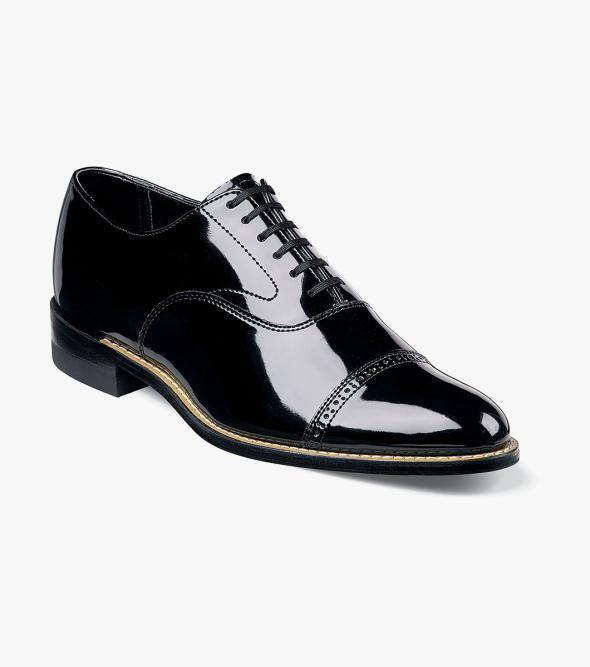 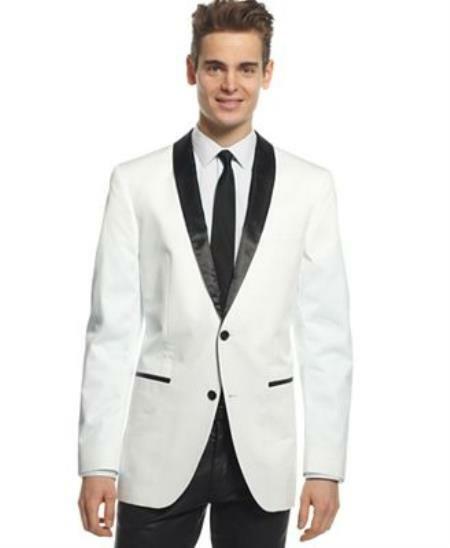 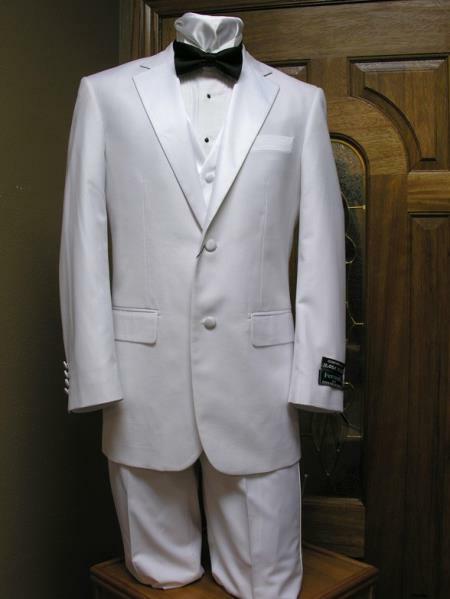 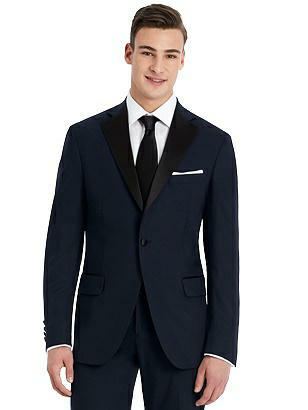 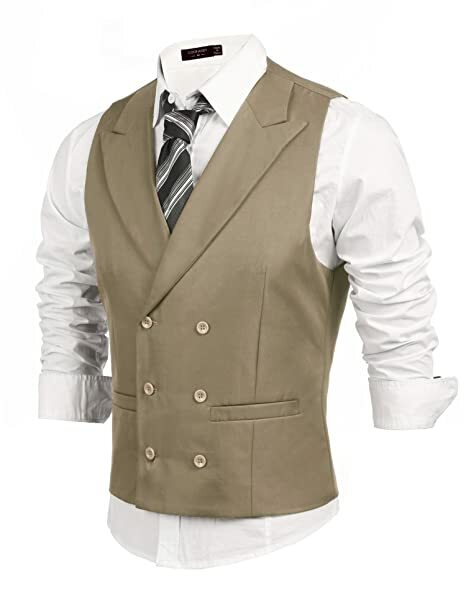 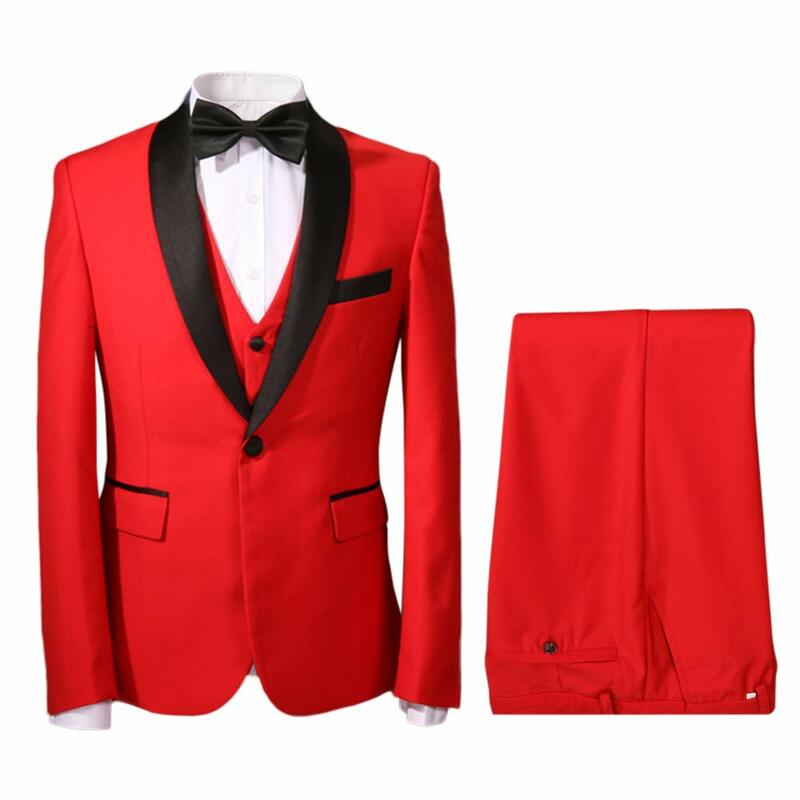 Many of the vintage tuxedo suit styles moved in and out of fashion only to reemerge again now. 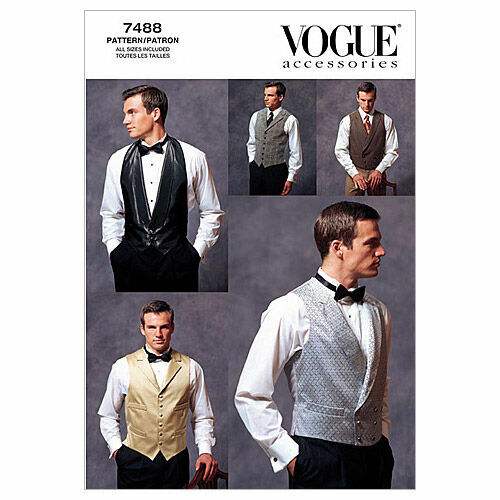 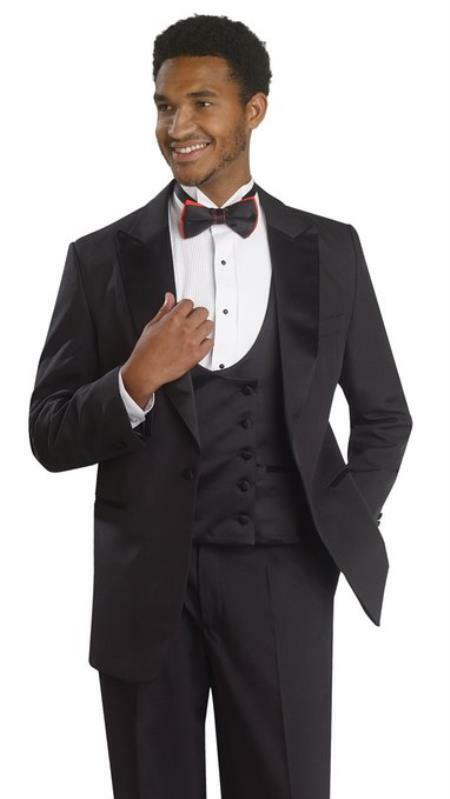 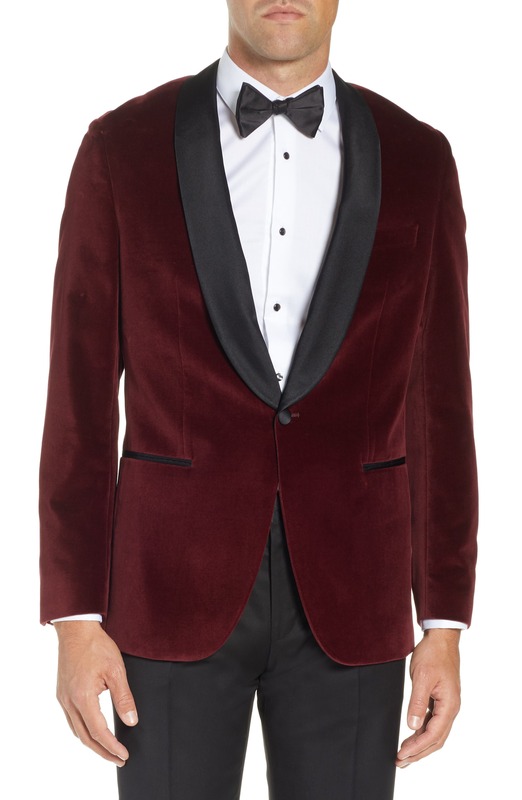 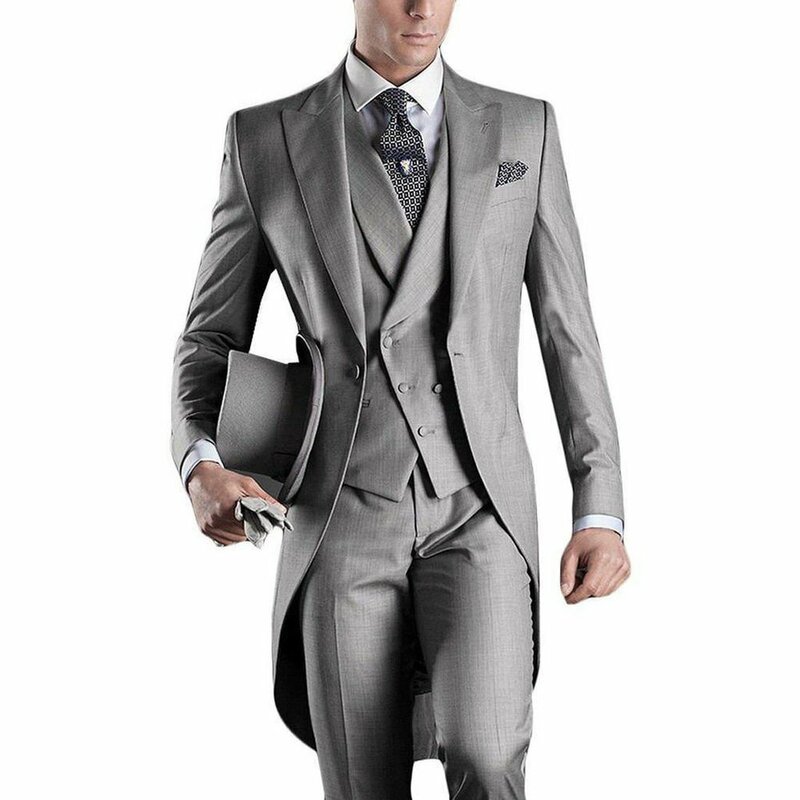 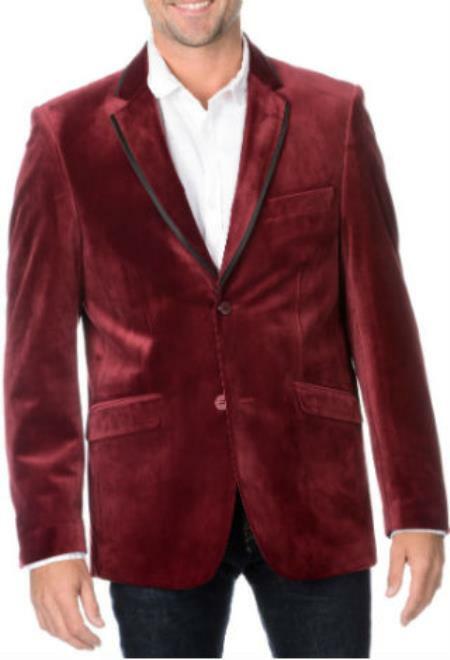 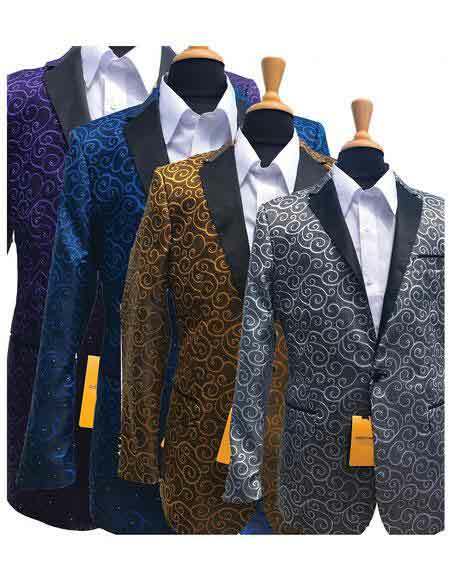 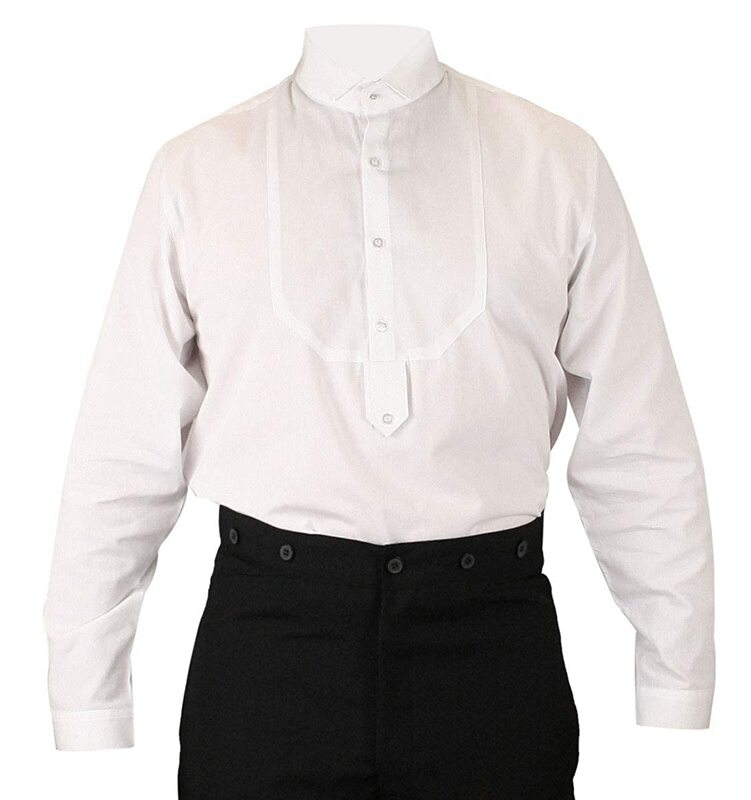 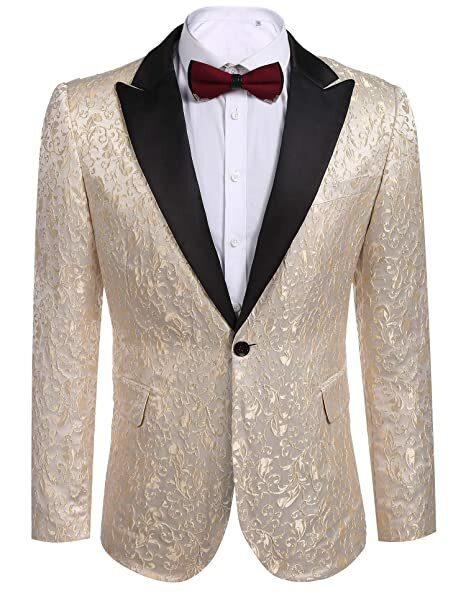 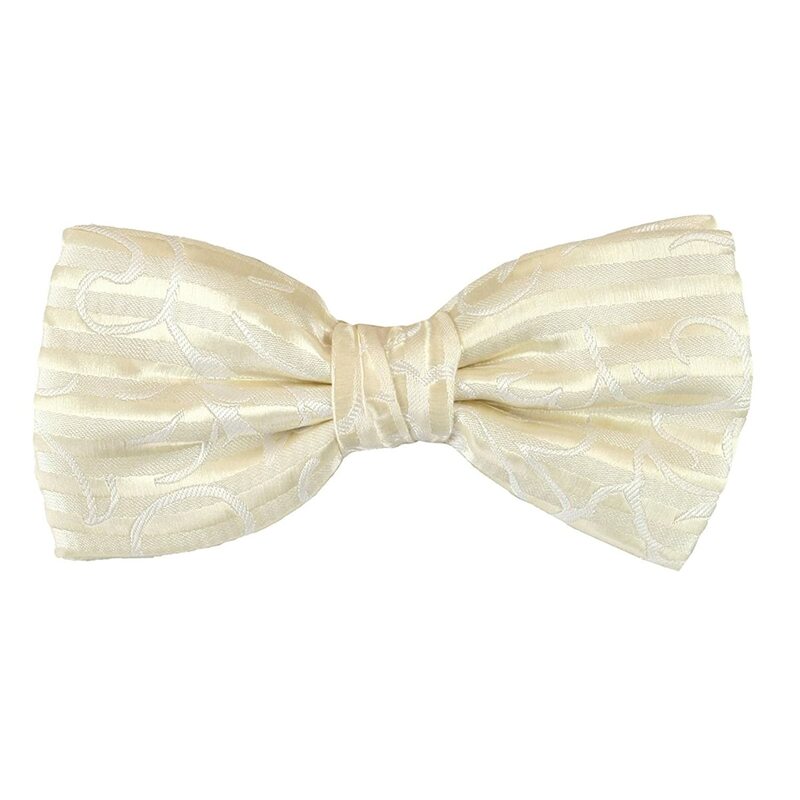 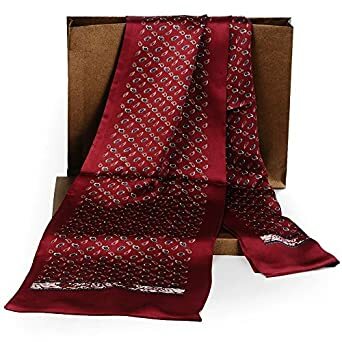 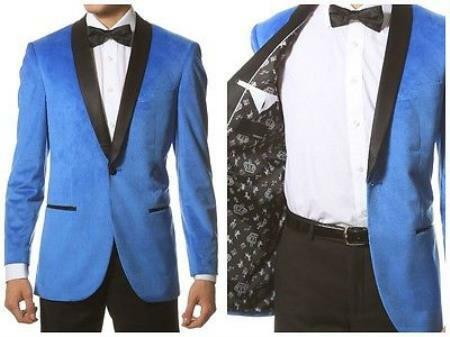 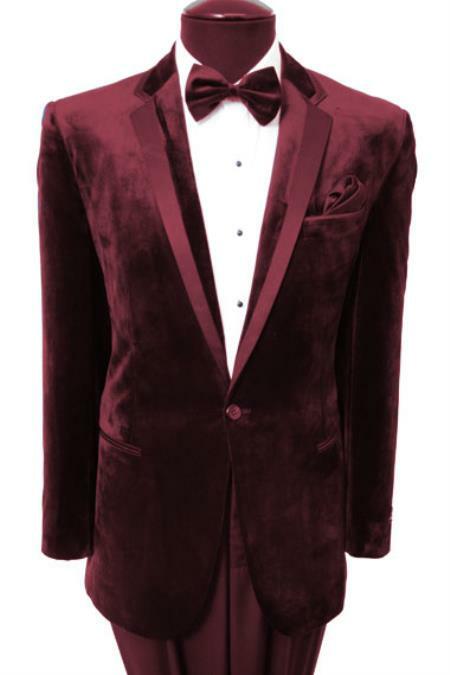 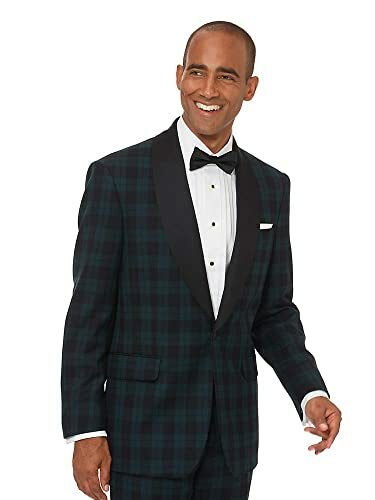 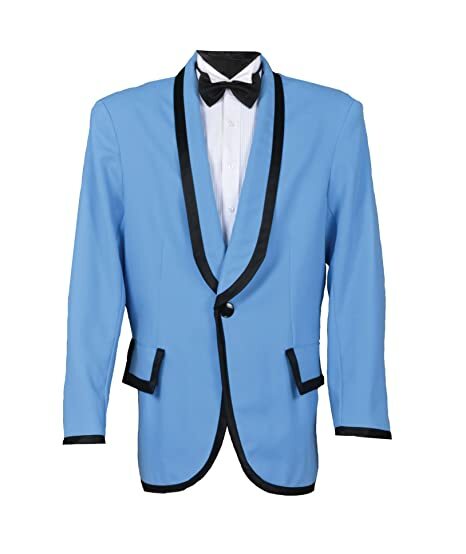 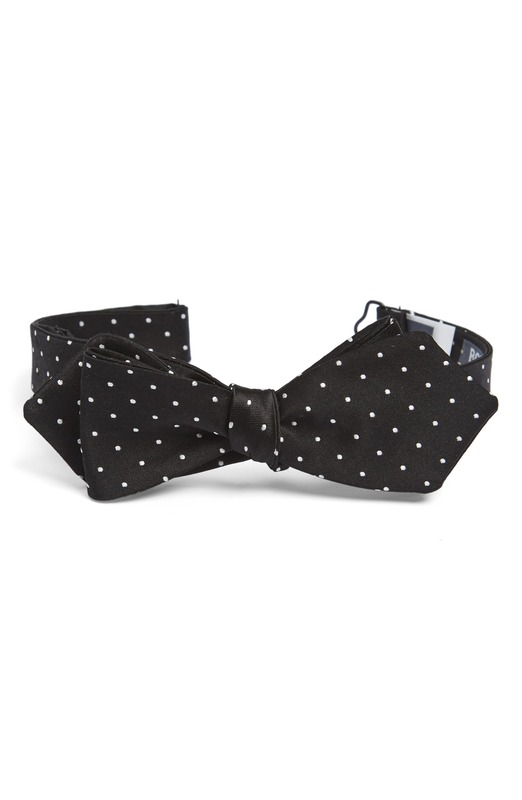 In an effort to help gentlemen dress in vintage style tuxedos and dinner jackets we have searched online and gathered links to new yet vintage inspired men’s eveningwear. 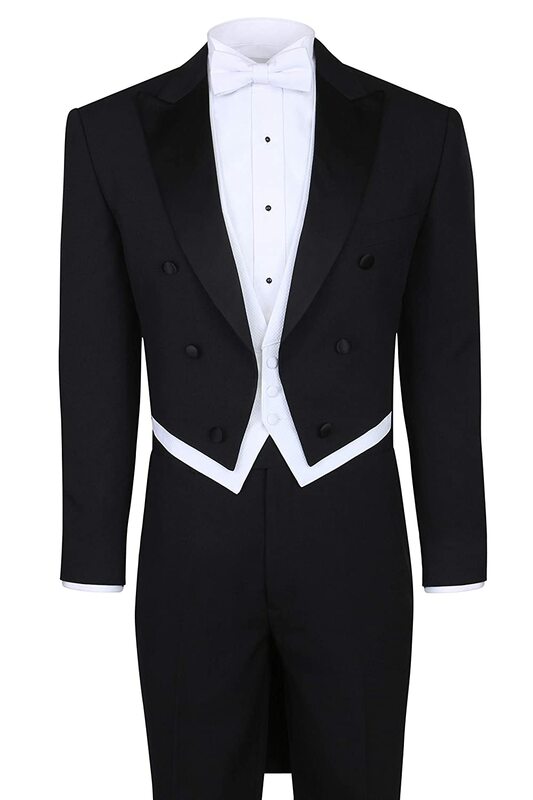 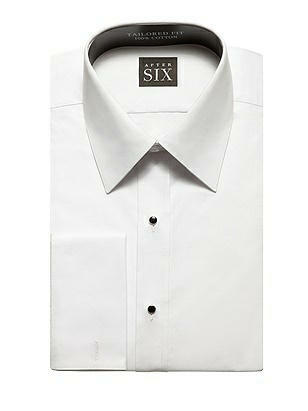 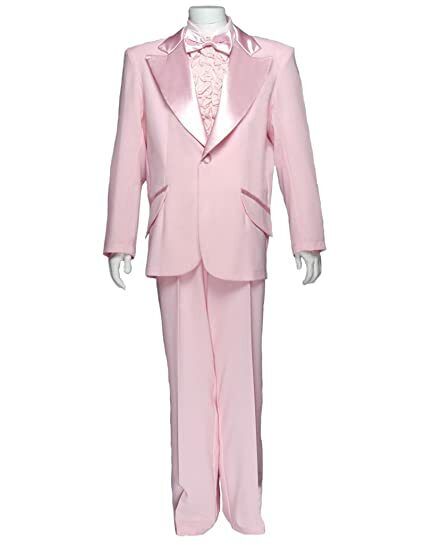 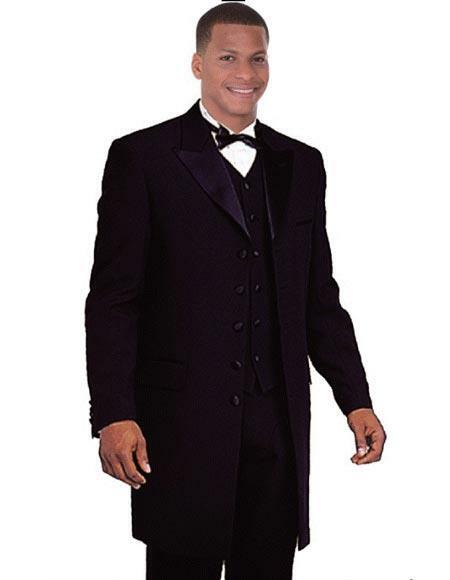 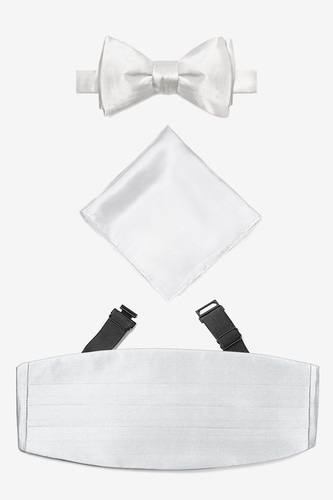 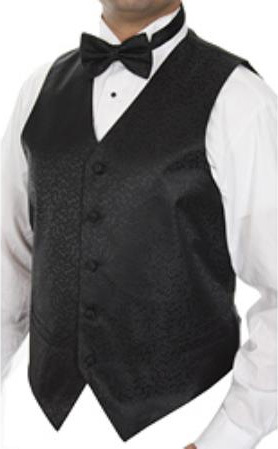 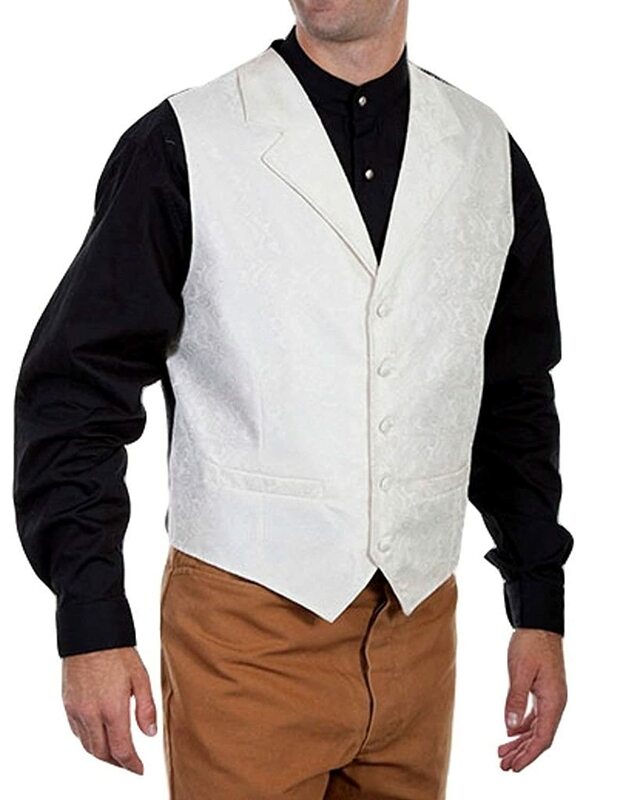 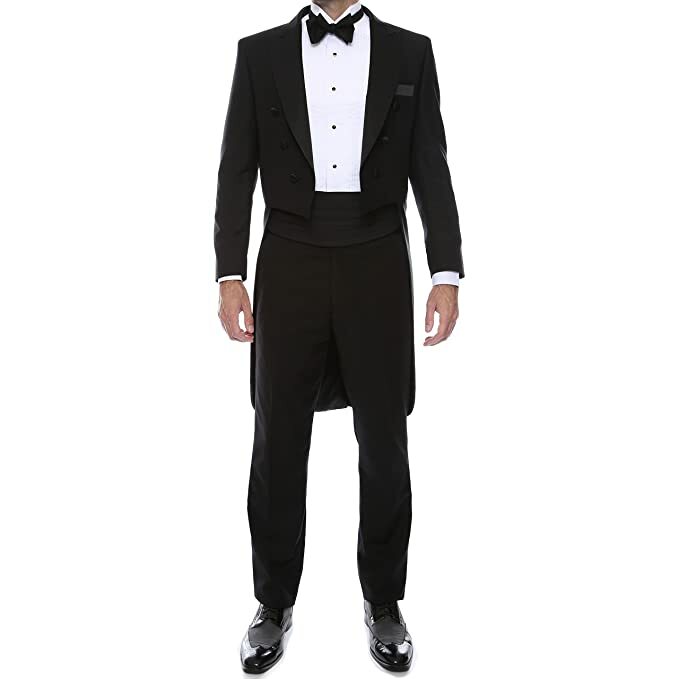 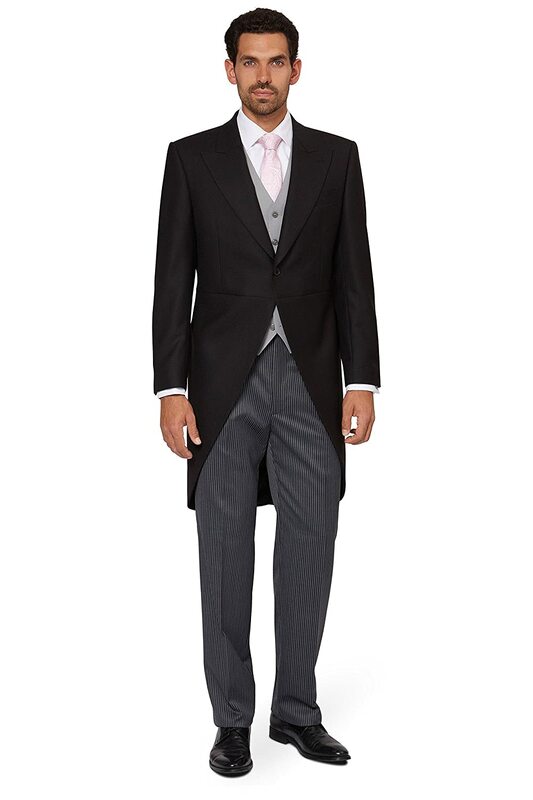 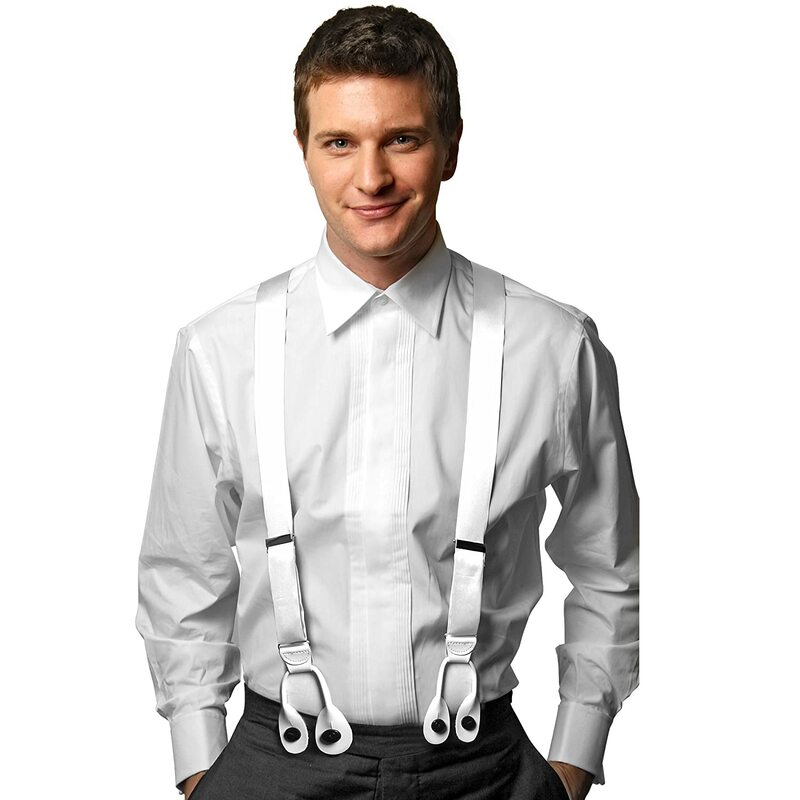 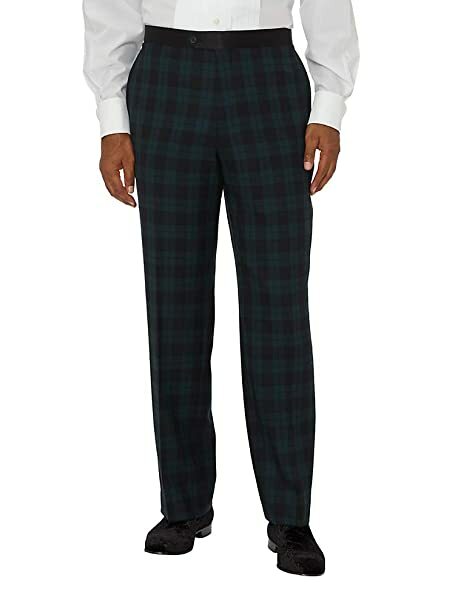 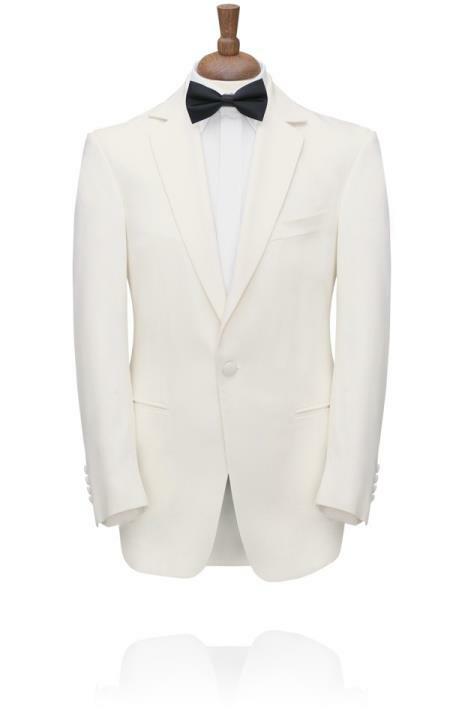 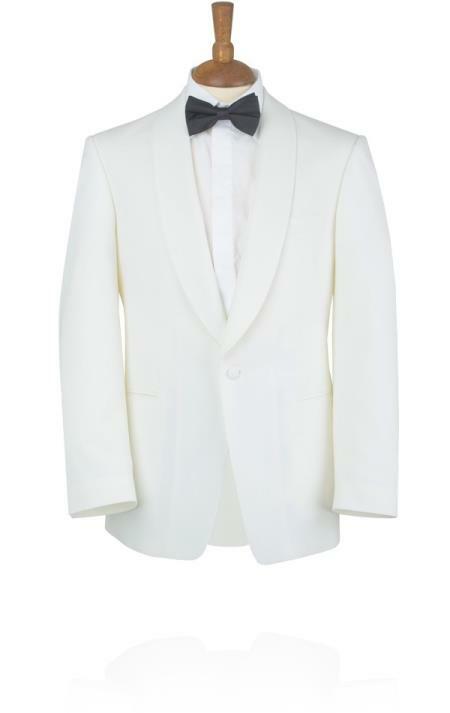 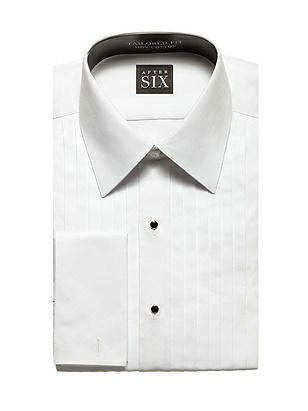 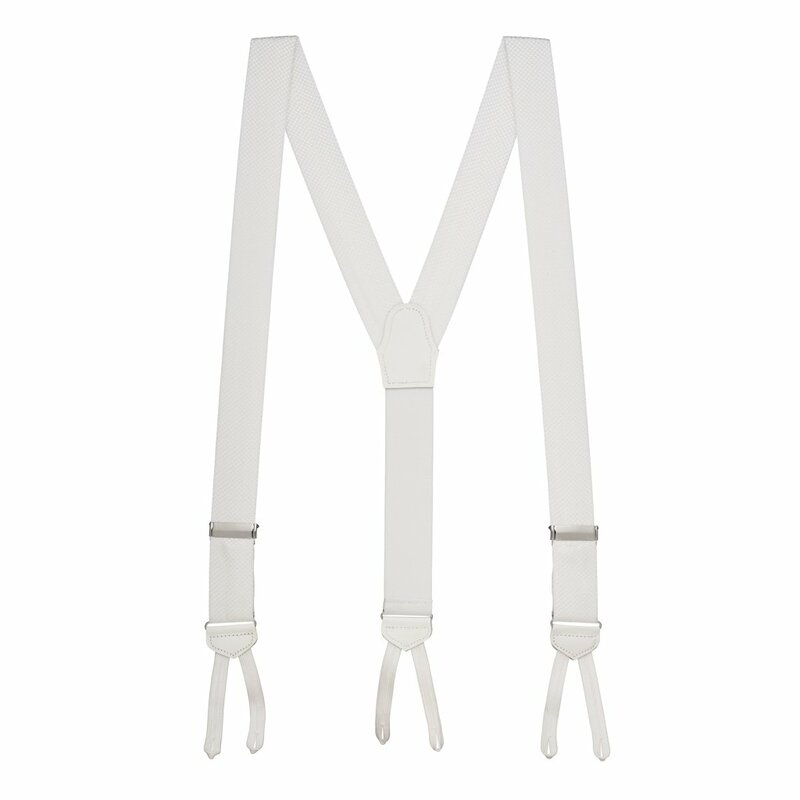 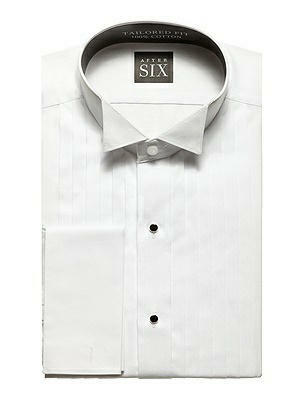 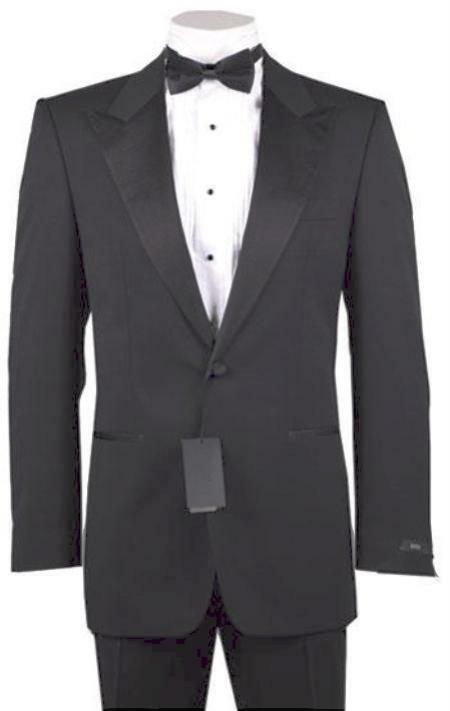 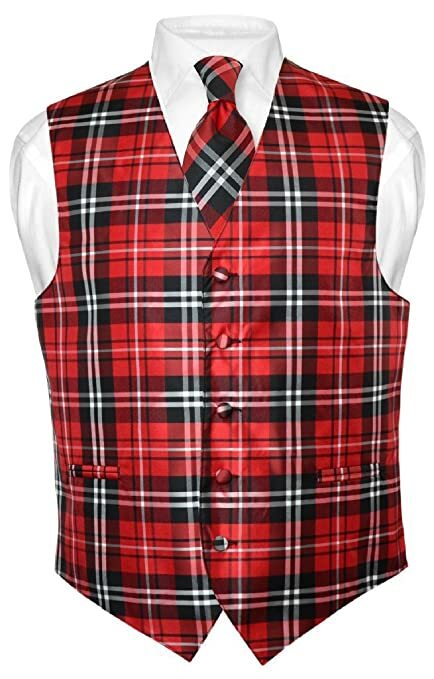 These include dinner jackets, tailcoats, morning suits and tuxedo pants (flat front is best.) 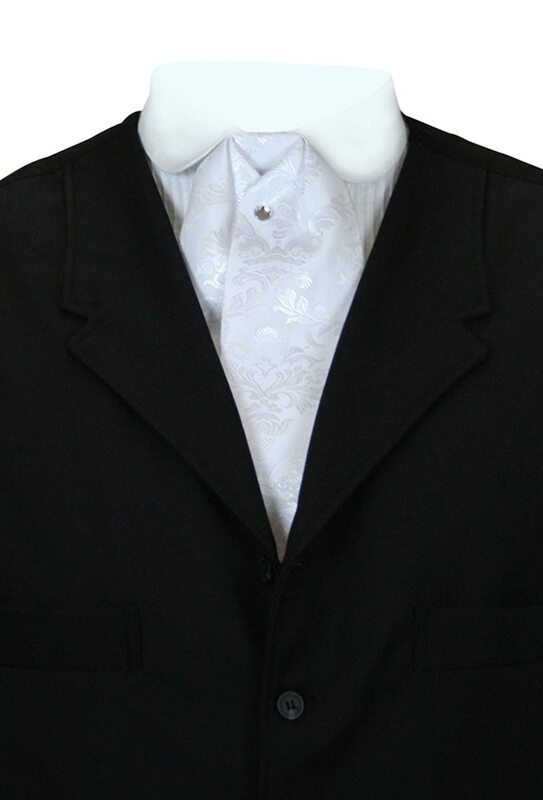 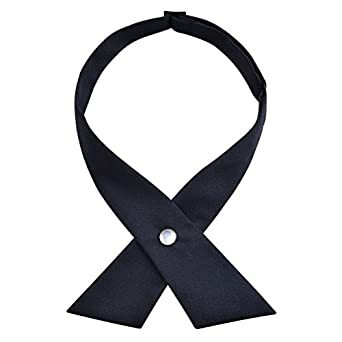 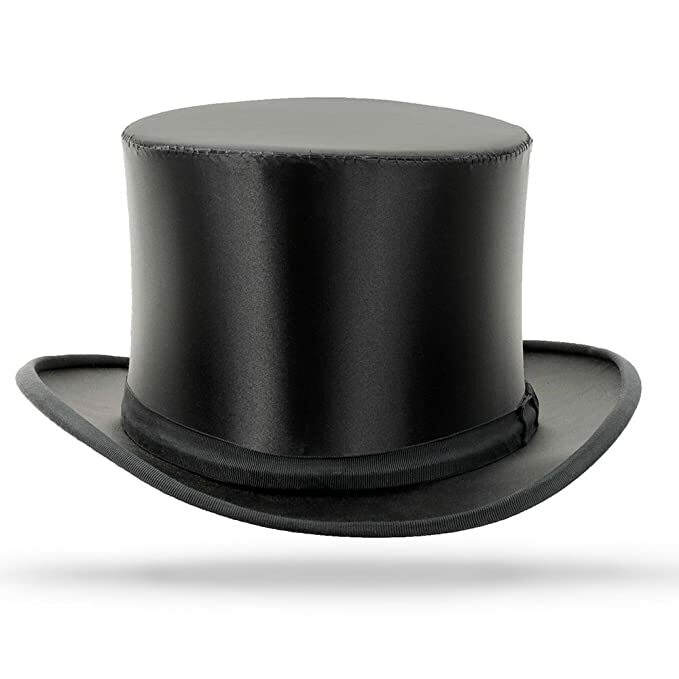 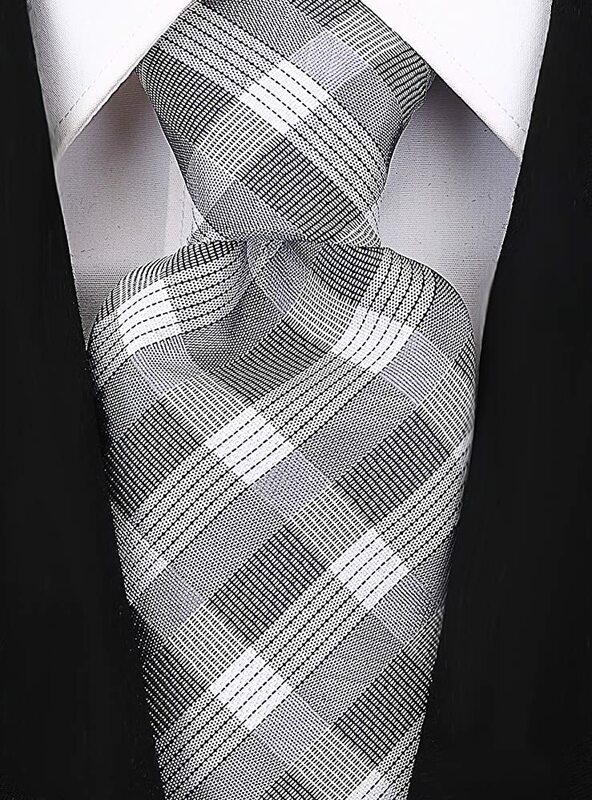 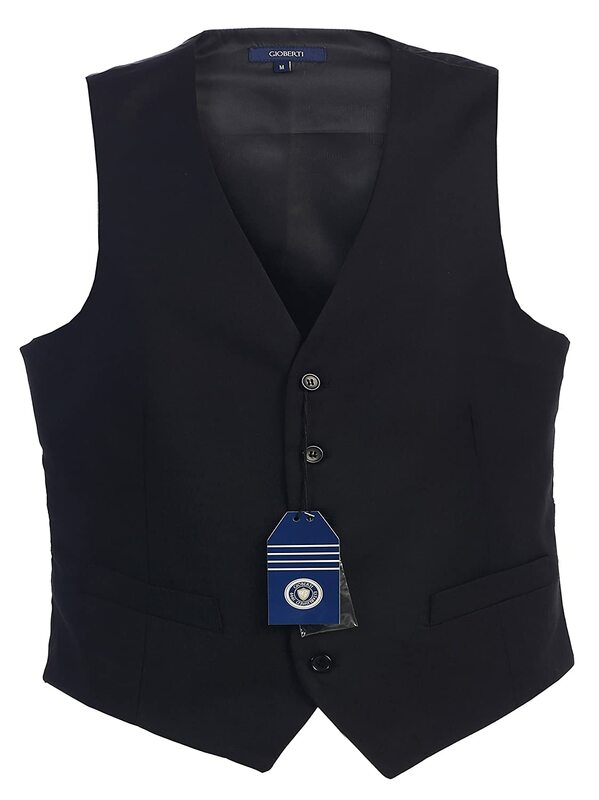 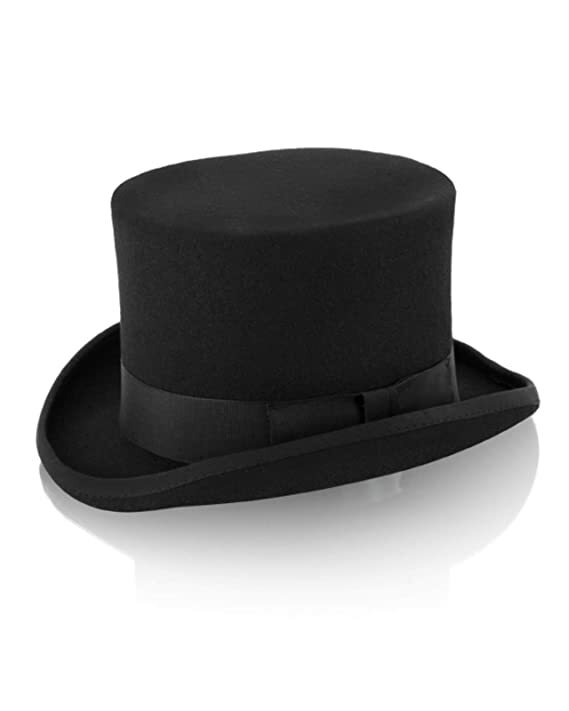 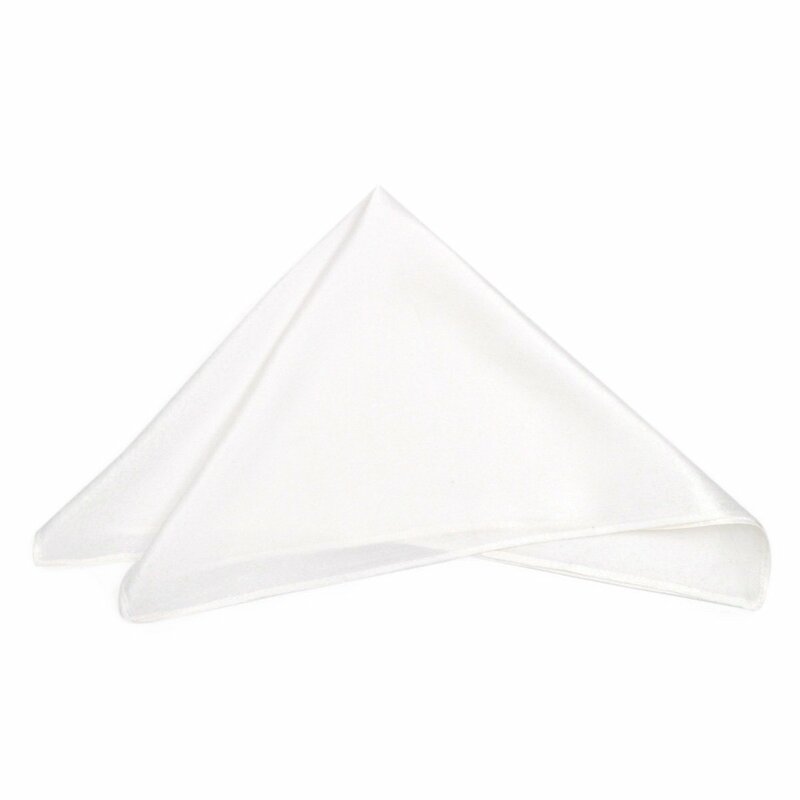 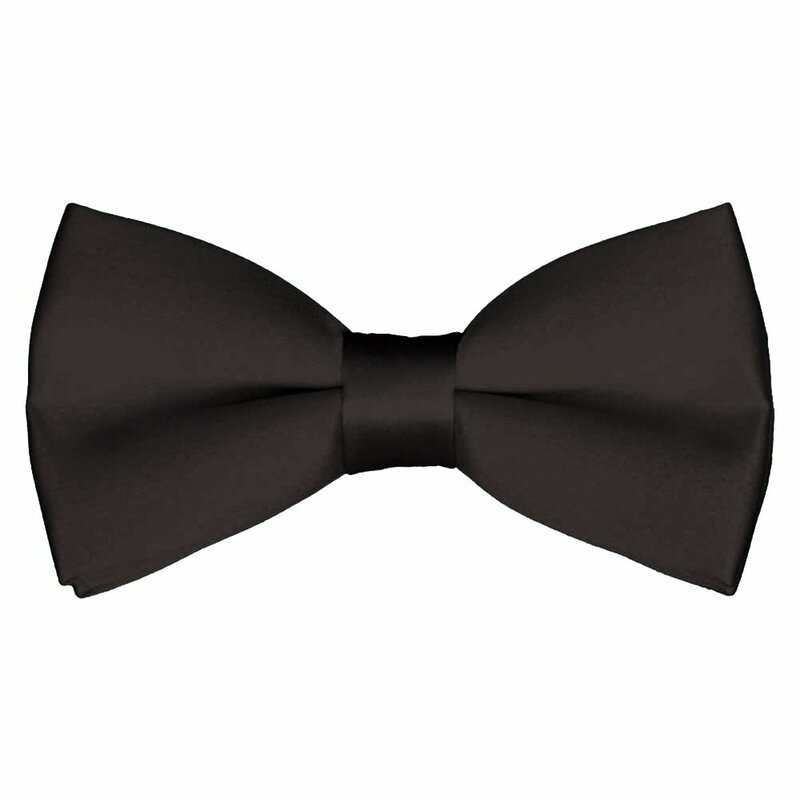 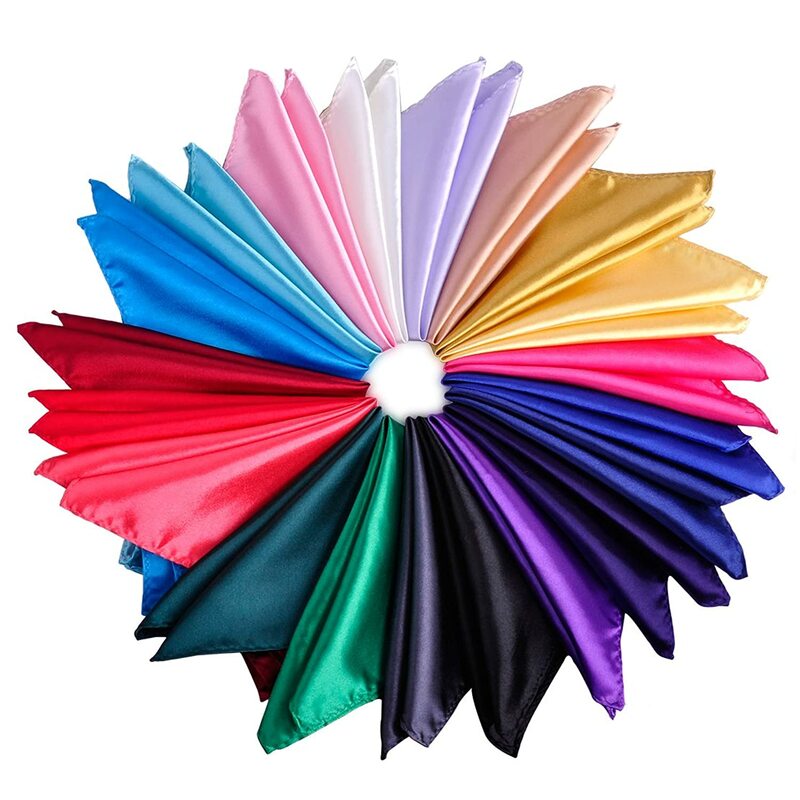 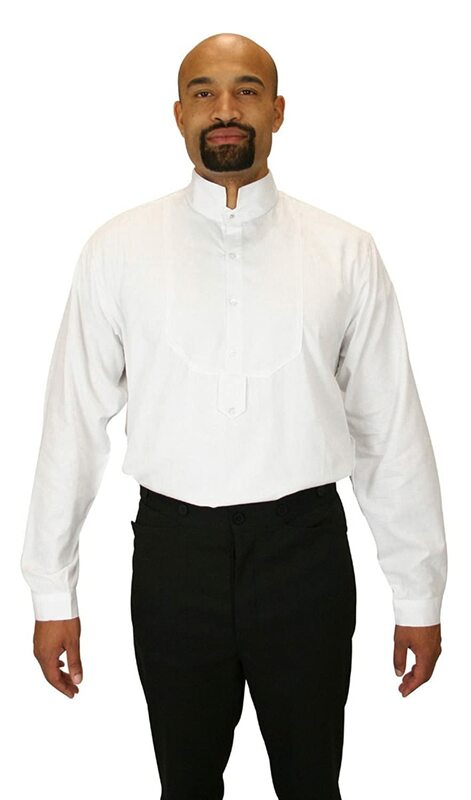 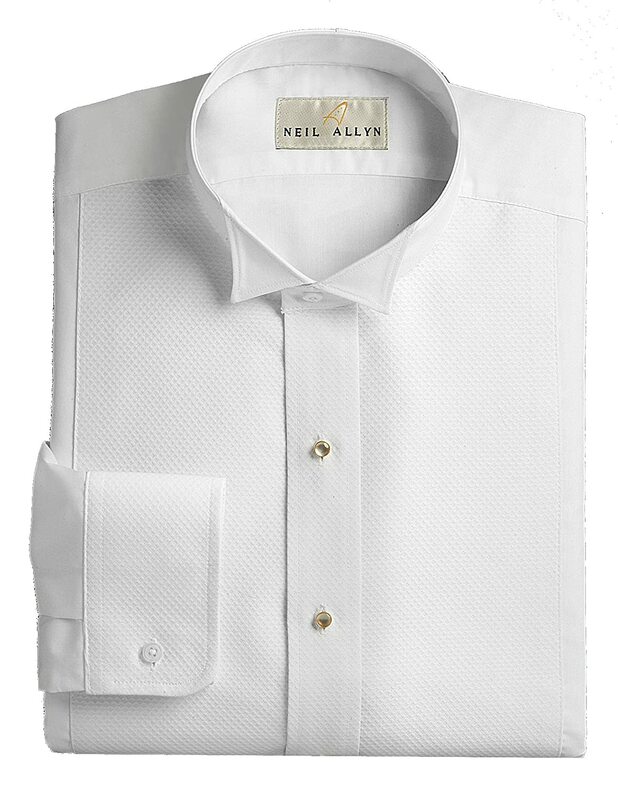 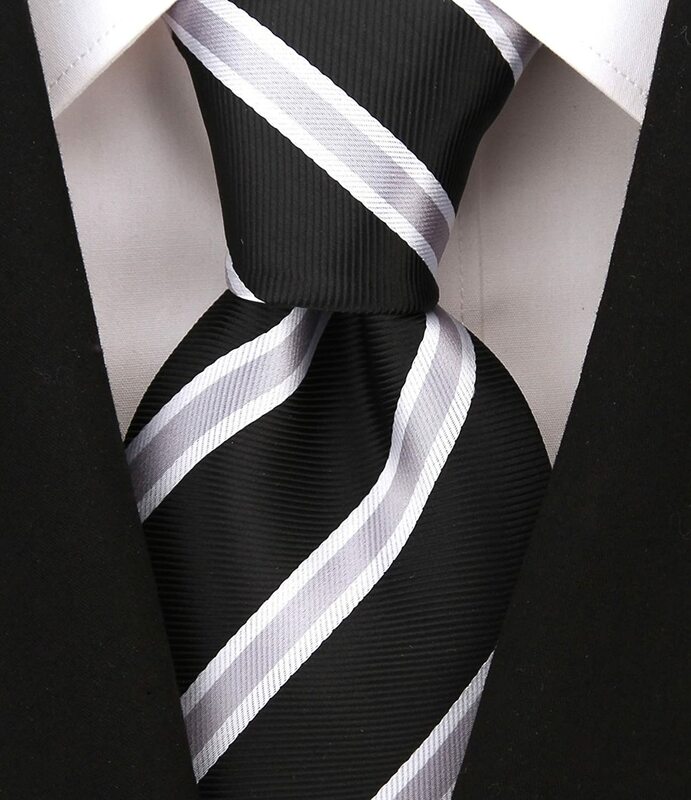 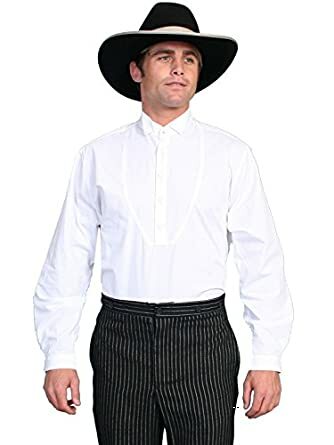 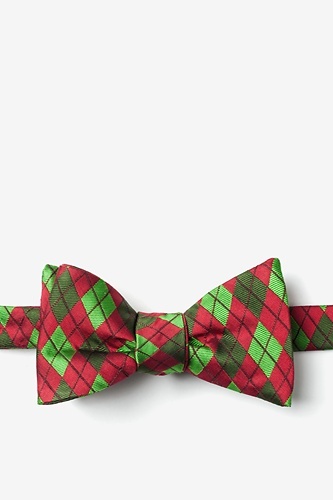 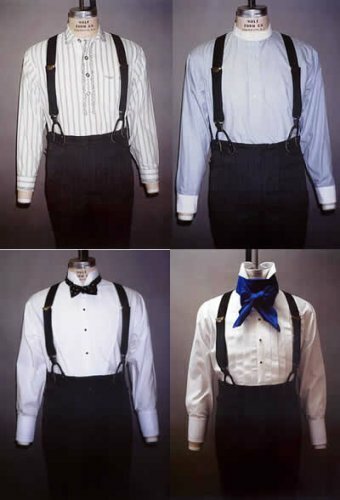 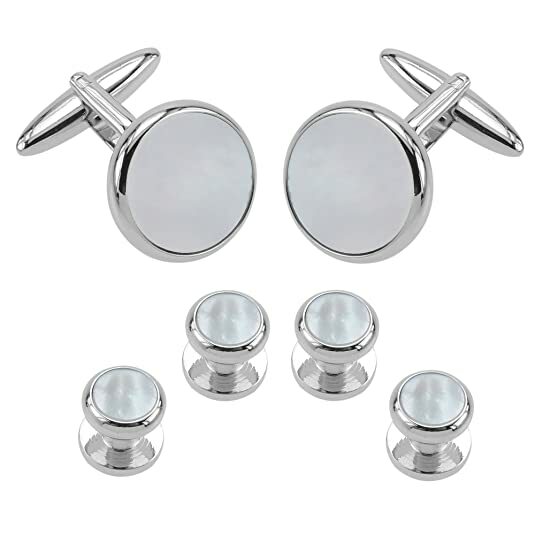 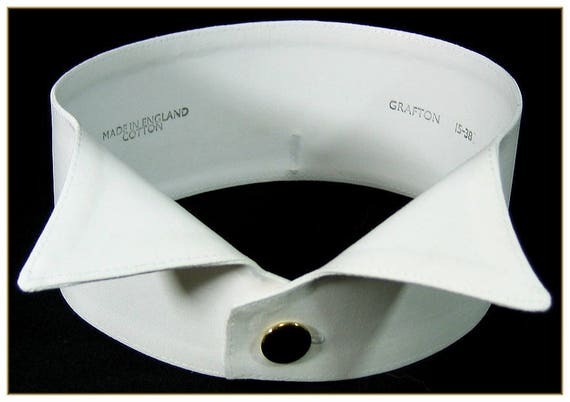 Formal dress shirts (no pleats until the 70s), black or white formal vests or waistcoats (just say no to cummerbunds), top hats, ties and bow ties, pocket squares, cuff links, and shoes are included as well. 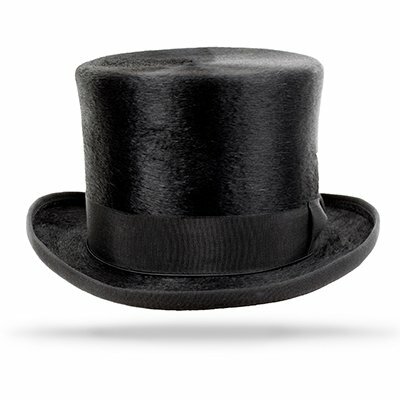 Research by decade is available for the Victorian, 1920s, and 1940s. 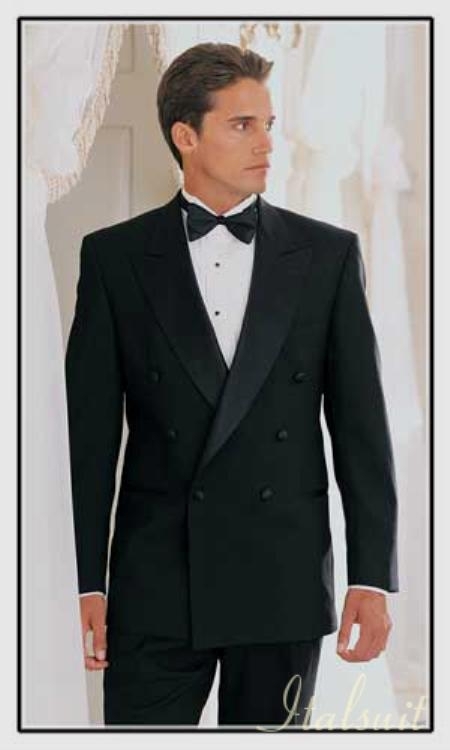 Other decades are coming soon. 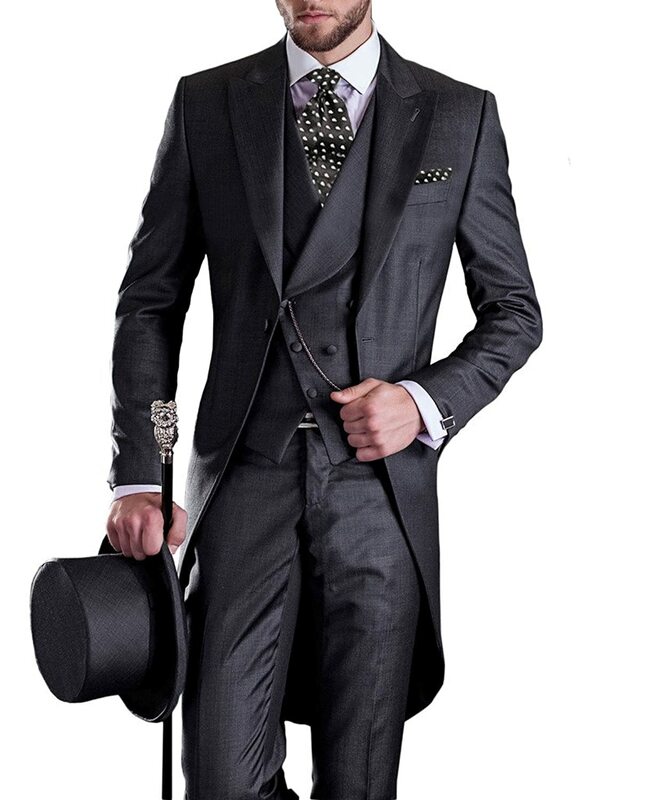 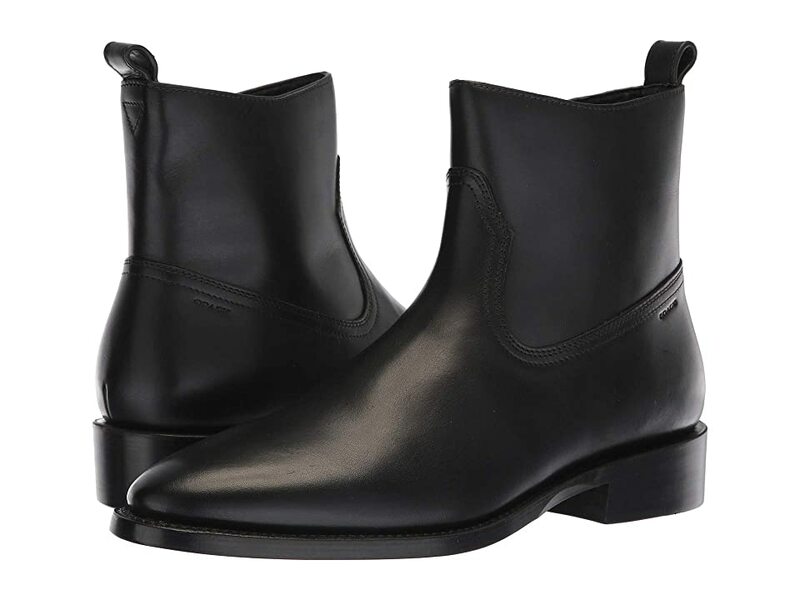 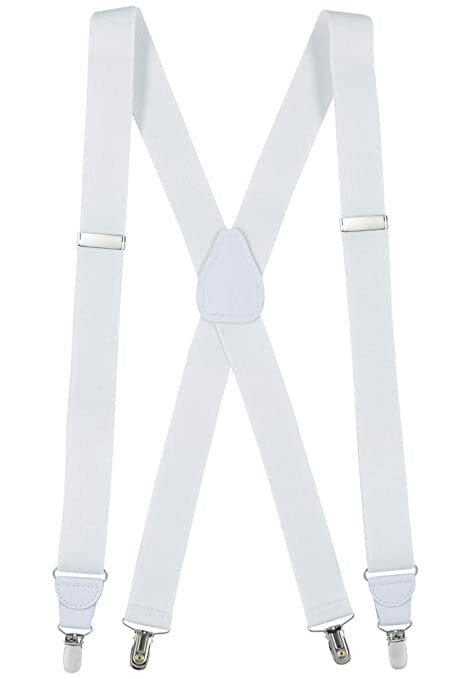 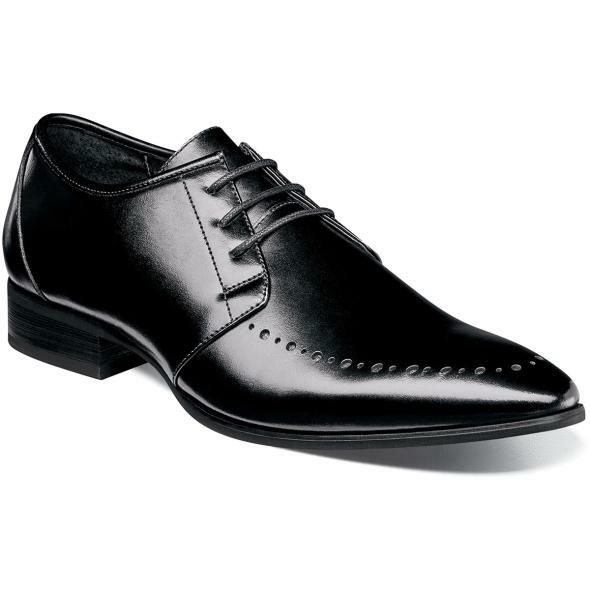 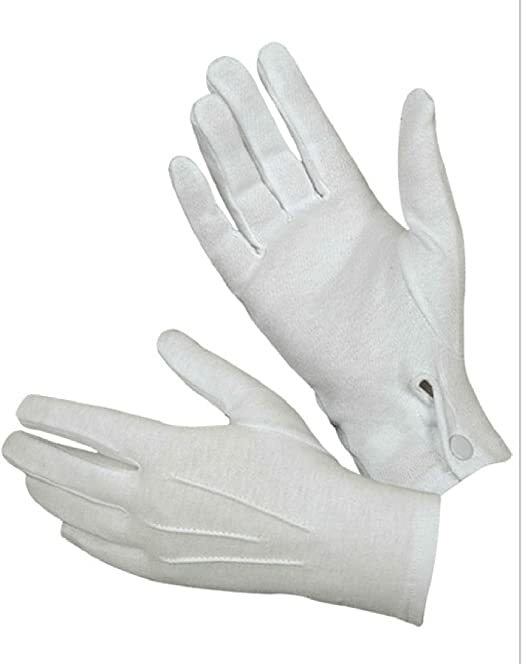 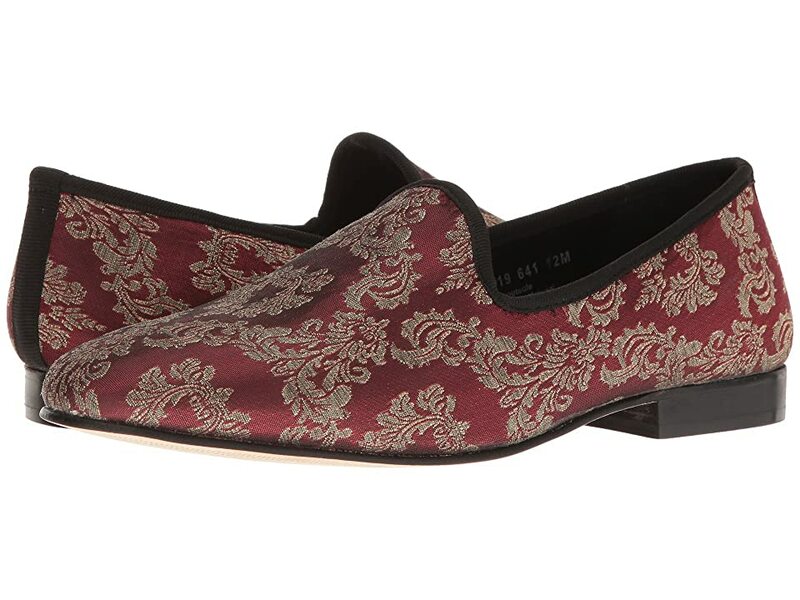 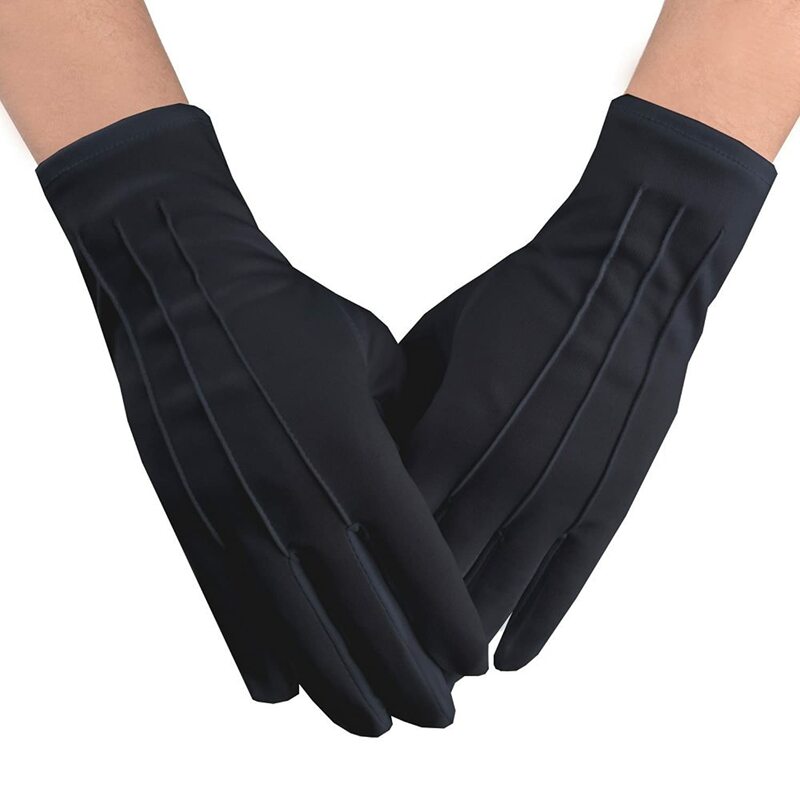 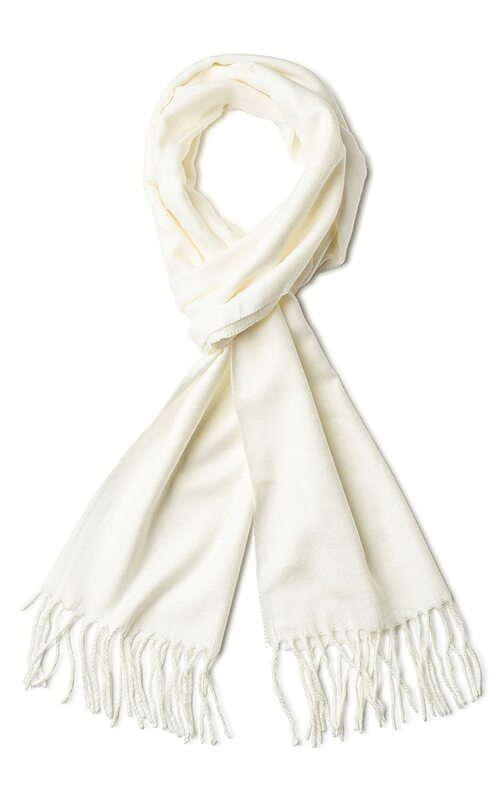 If you need additional help with your look feel free to contact us.